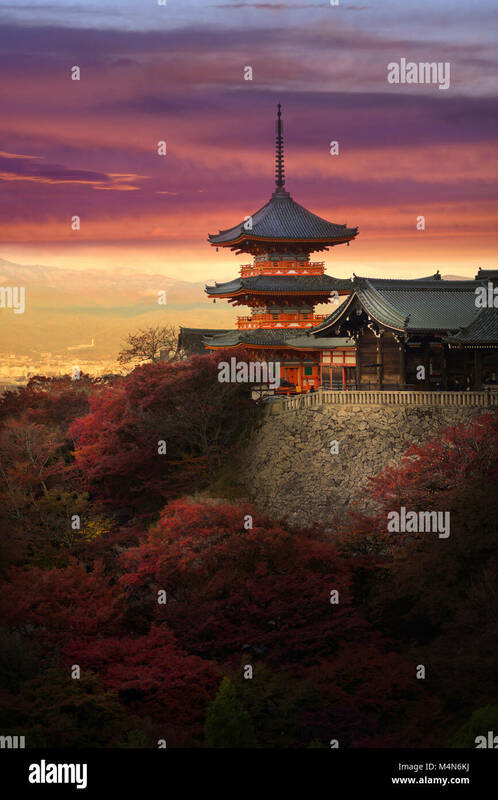 The pagoda of Kiyomizu-dera in Kyoto, Japan. 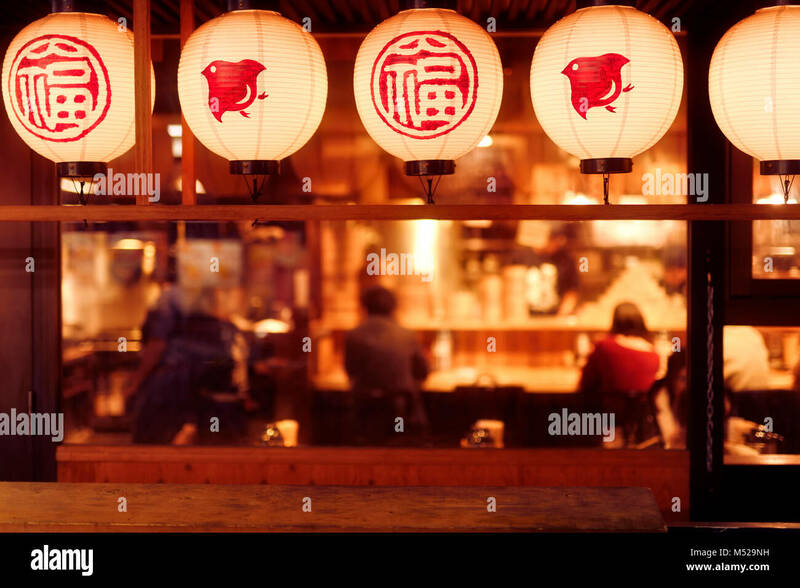 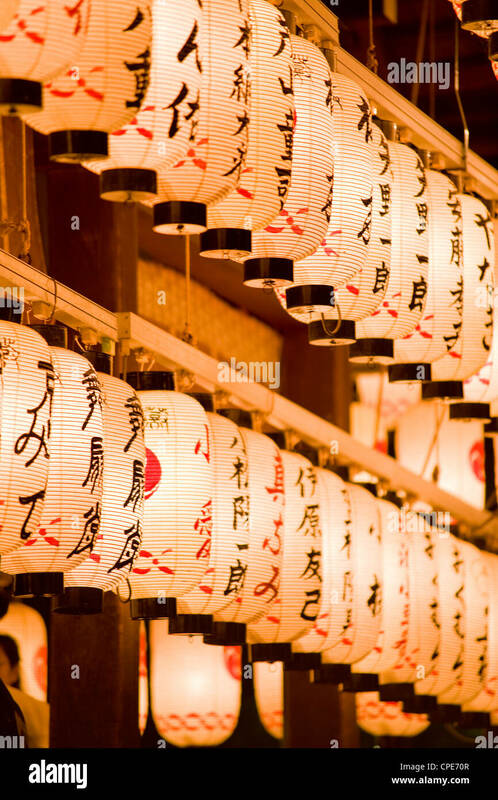 People dining inside a traditional Japanese restaurant with lanterns lit up at night. 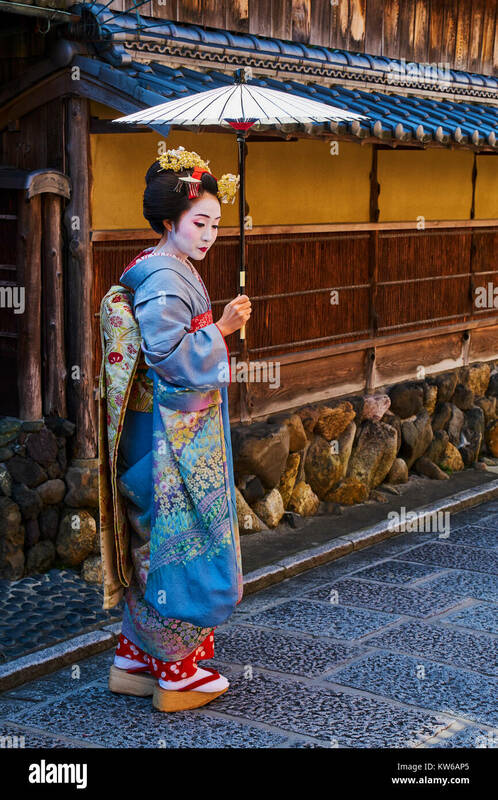 Gion, Kyoto, Japan 2017. 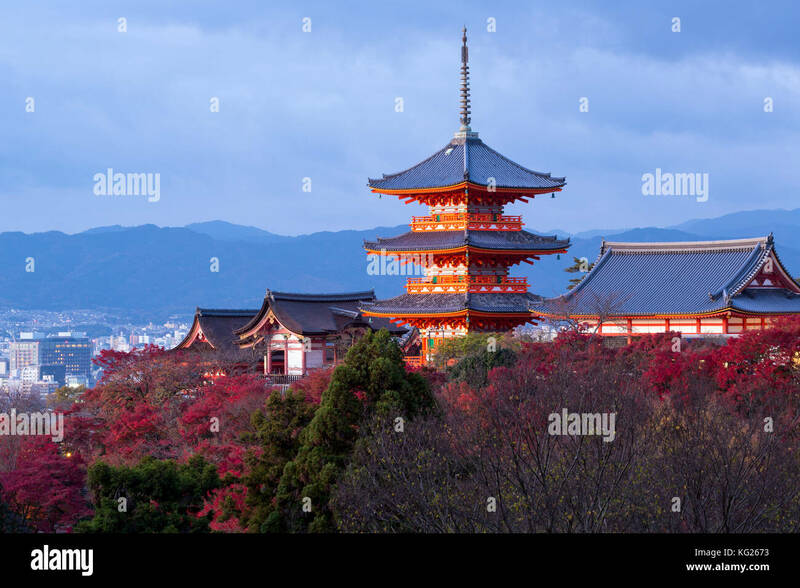 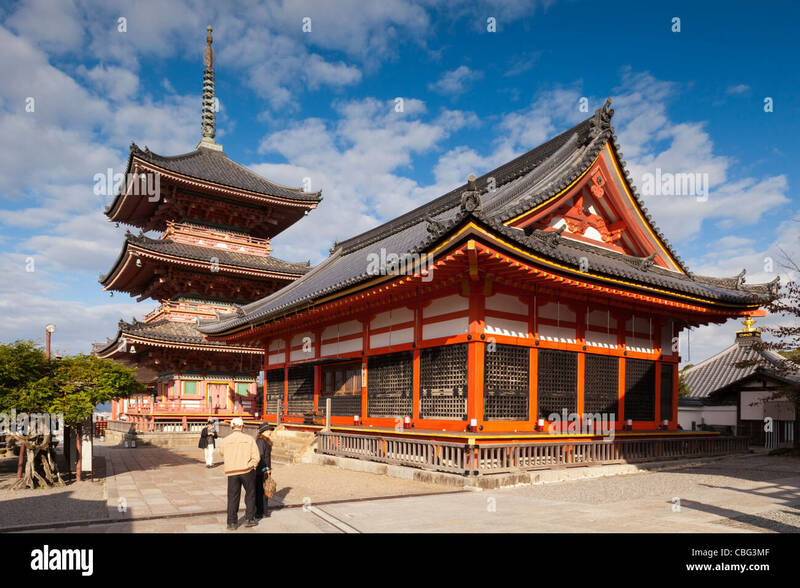 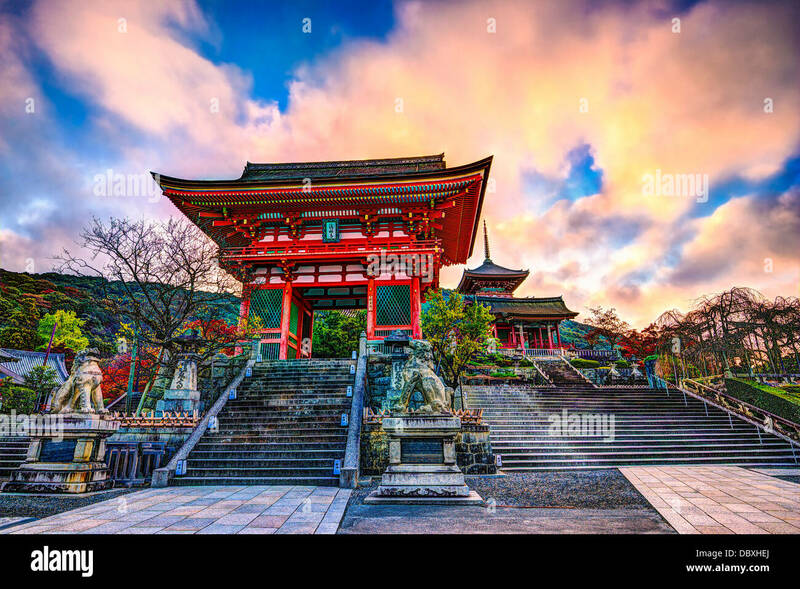 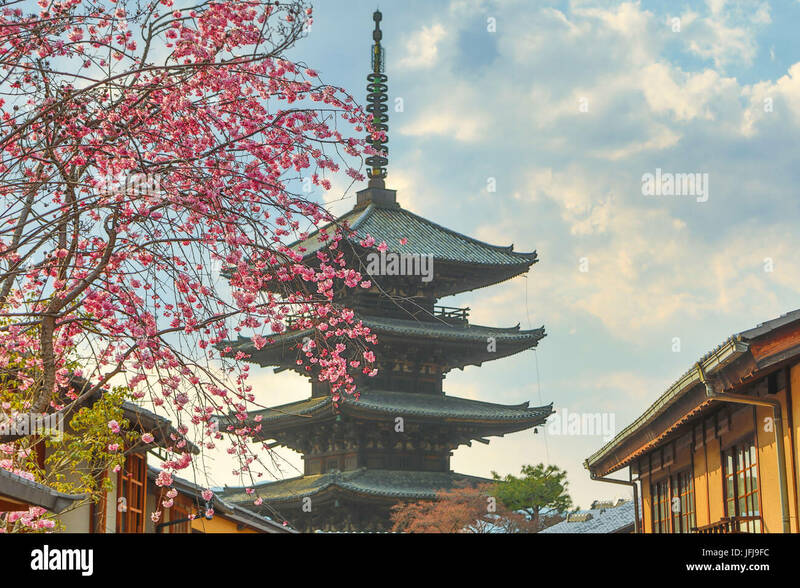 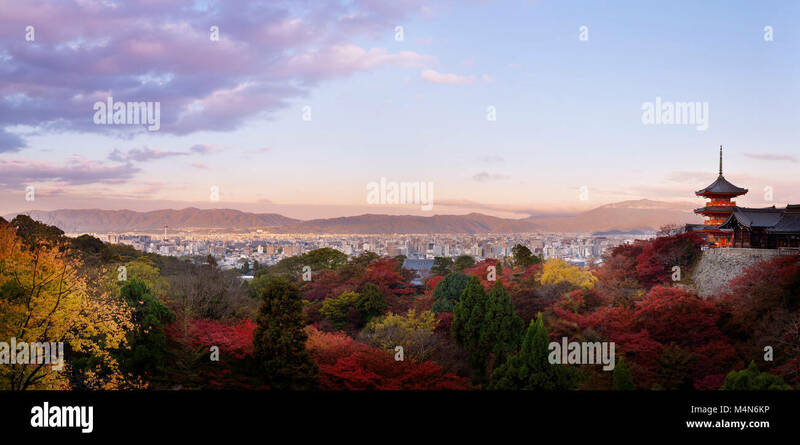 Kiyomizu-dera, Sanjunoto pagoda in Kyoto in beautiful autumn morning sunrise scenery. 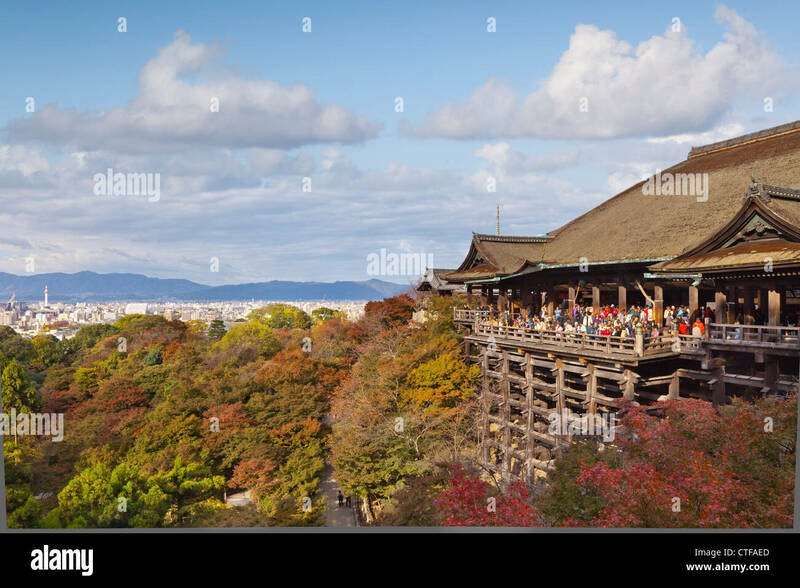 Kiyomizu-dera Buddhist temple, Higashiyama, Kyoto, Japan 2017. 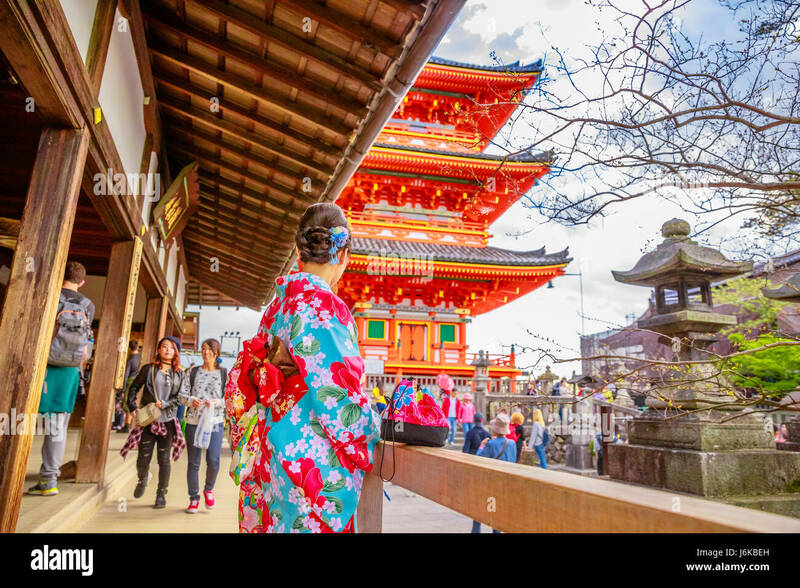 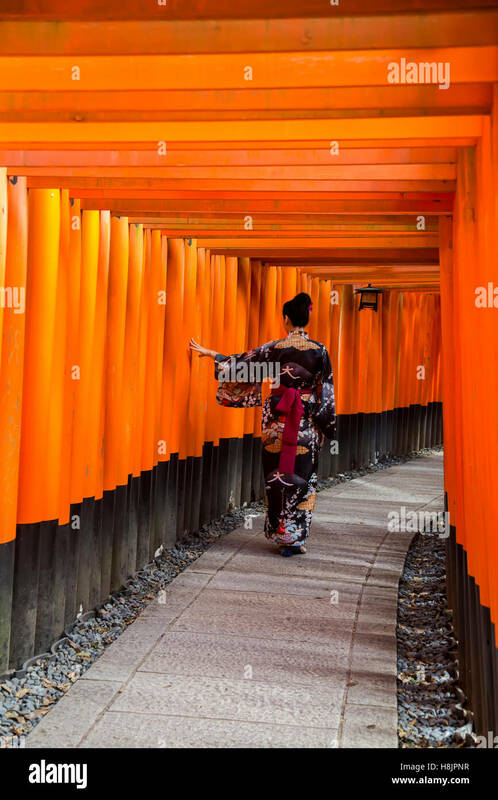 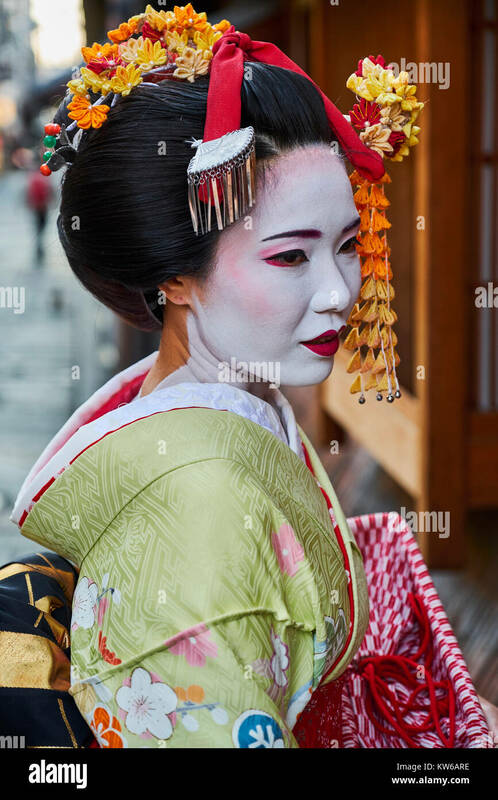 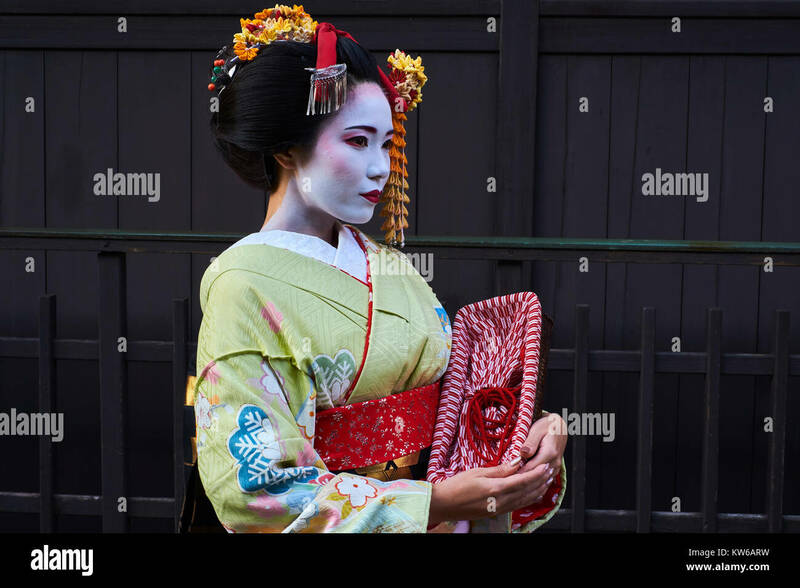 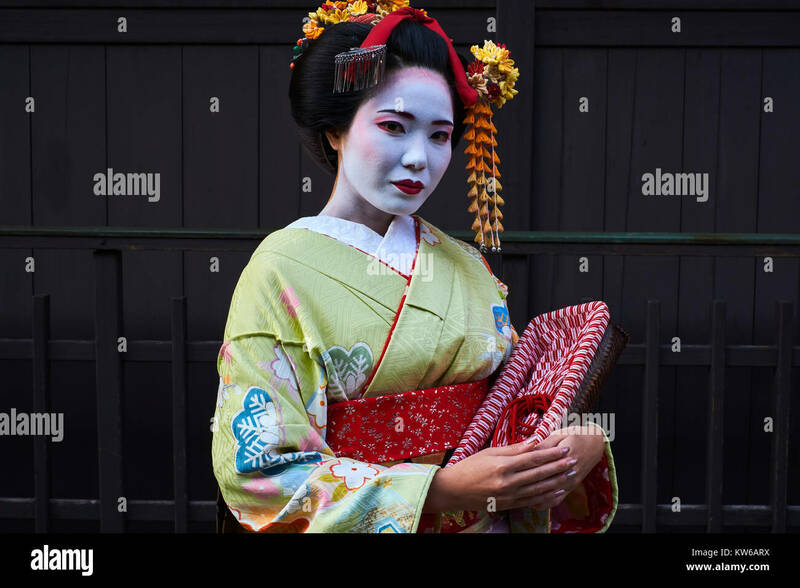 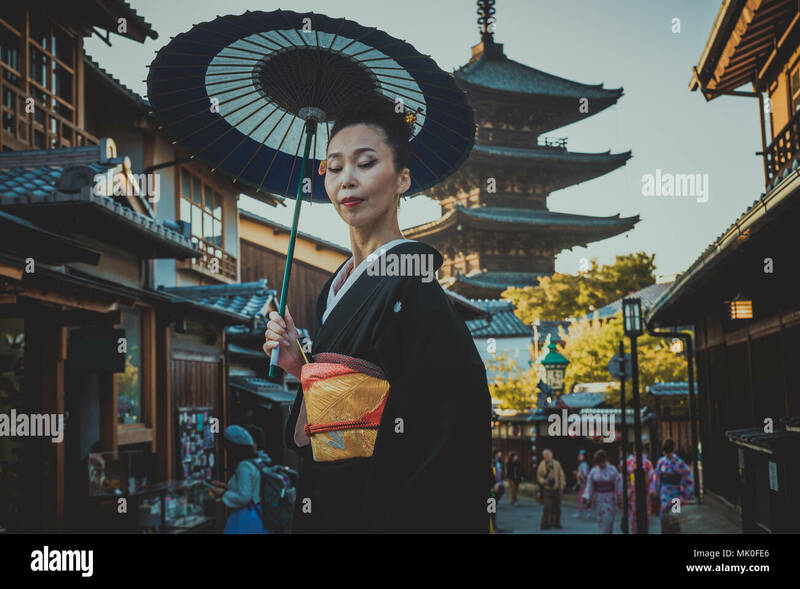 Unidentified woman at walkway in Fushimi Inari shrine in Kyoto, Japan. 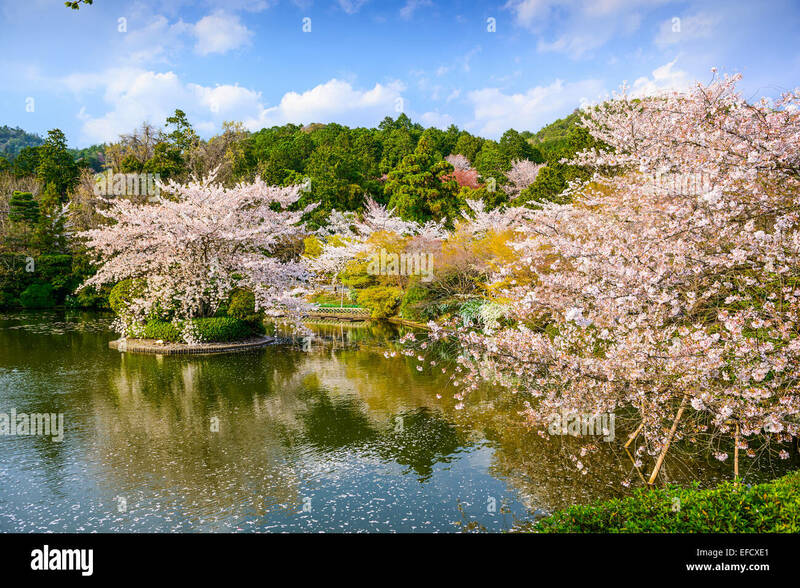 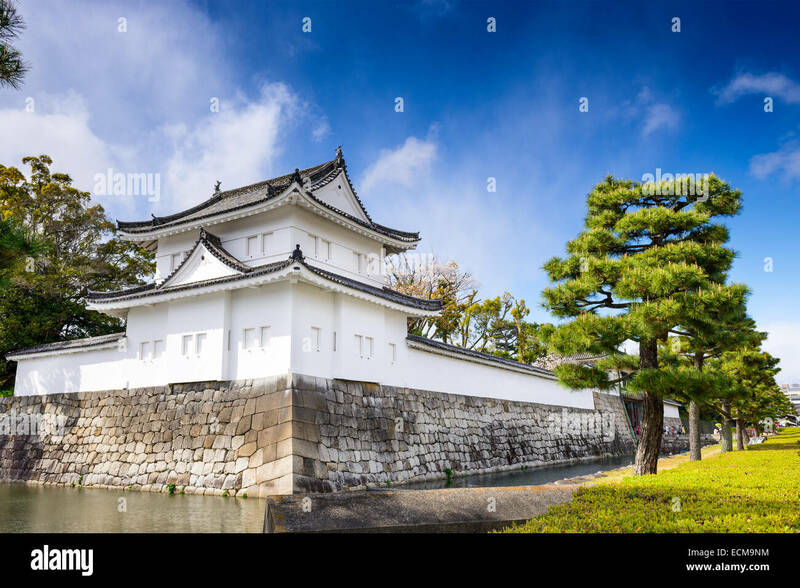 Kyoto, Japan at Nijo Castle's outer moat. 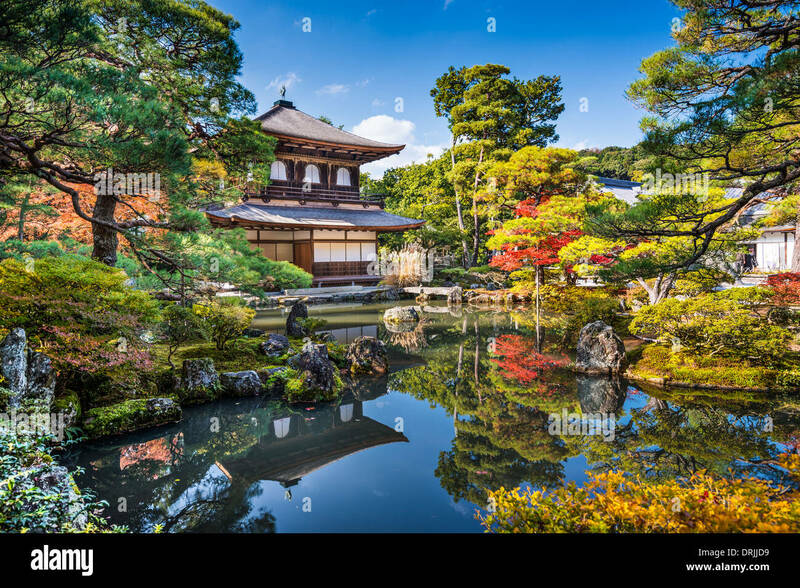 Daikoku-ji Temple in Kyoto, Japan. 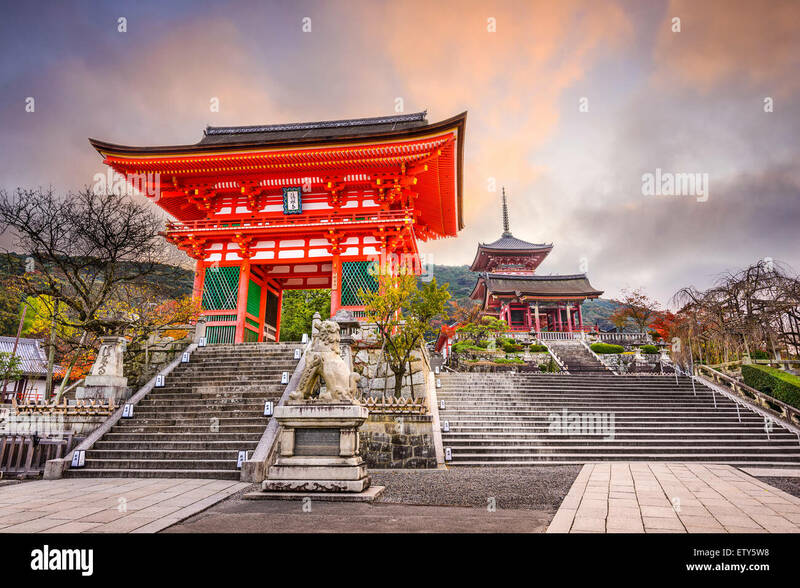 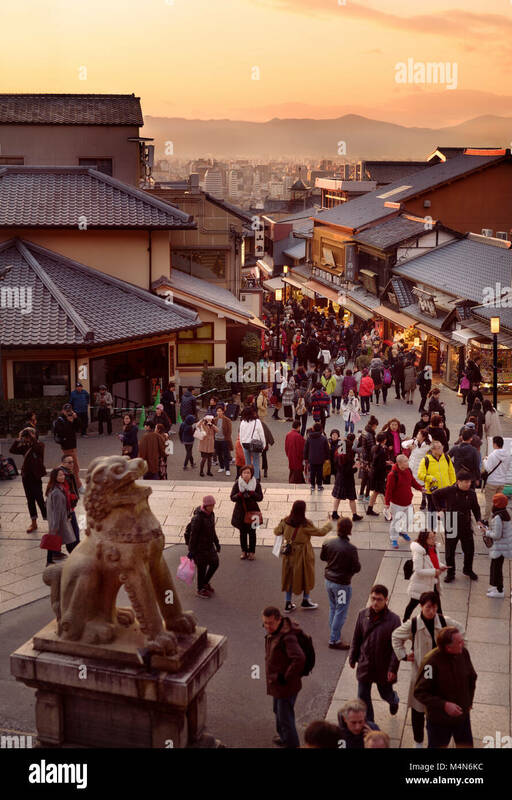 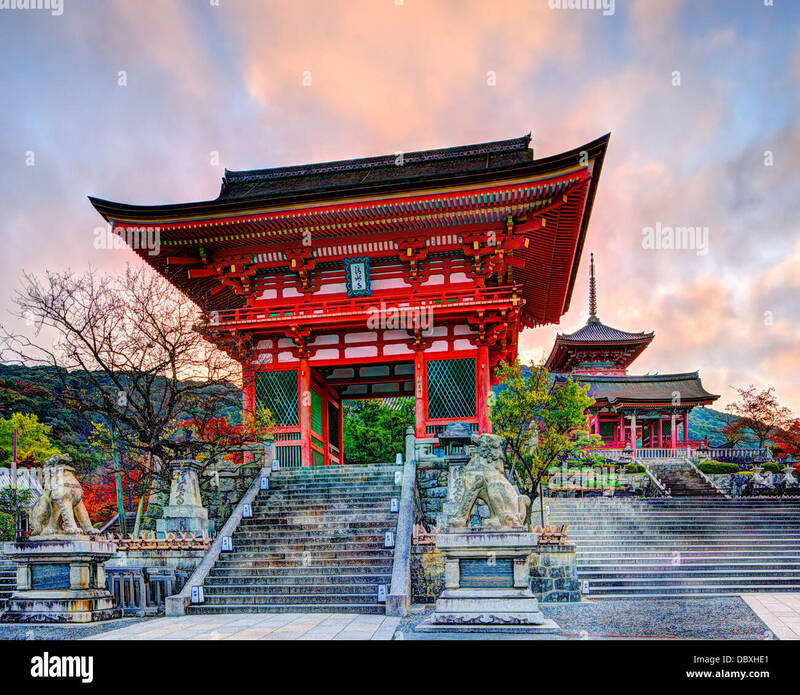 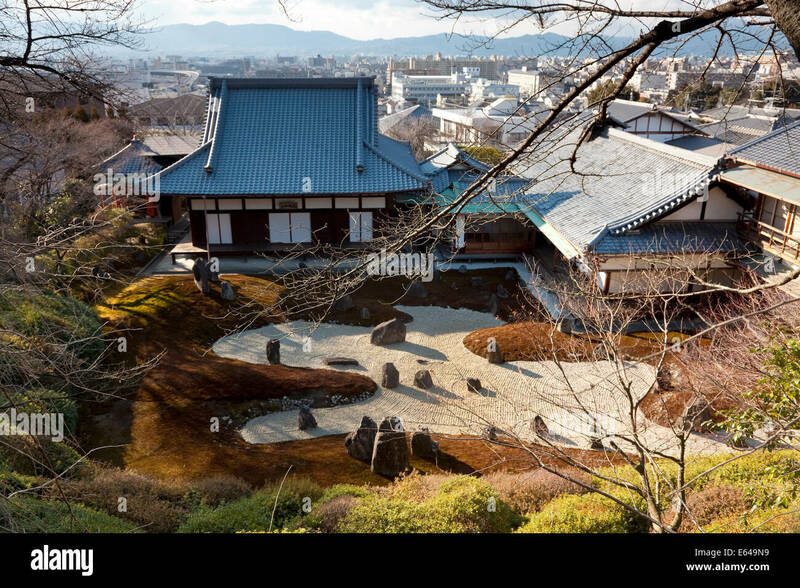 The temple of Kiyomizu-dera in Kyoto is one of japan's most visited sites. 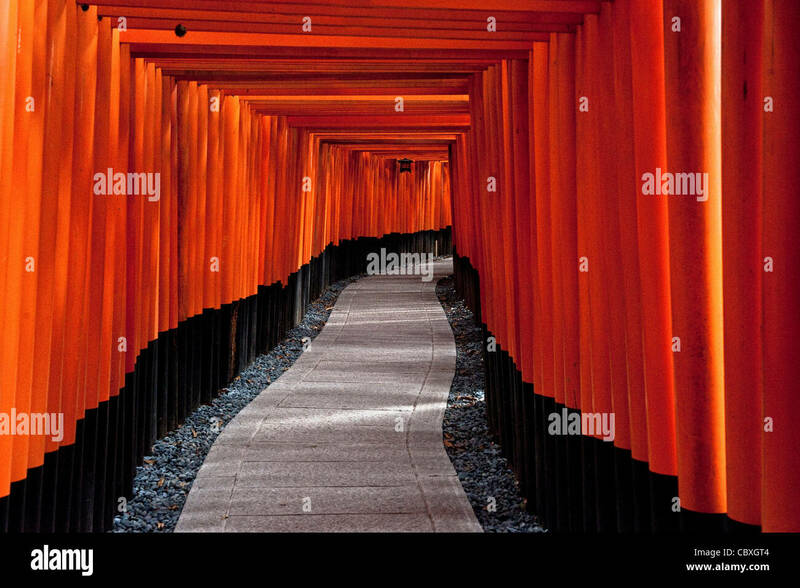 Kyoto, Japan. 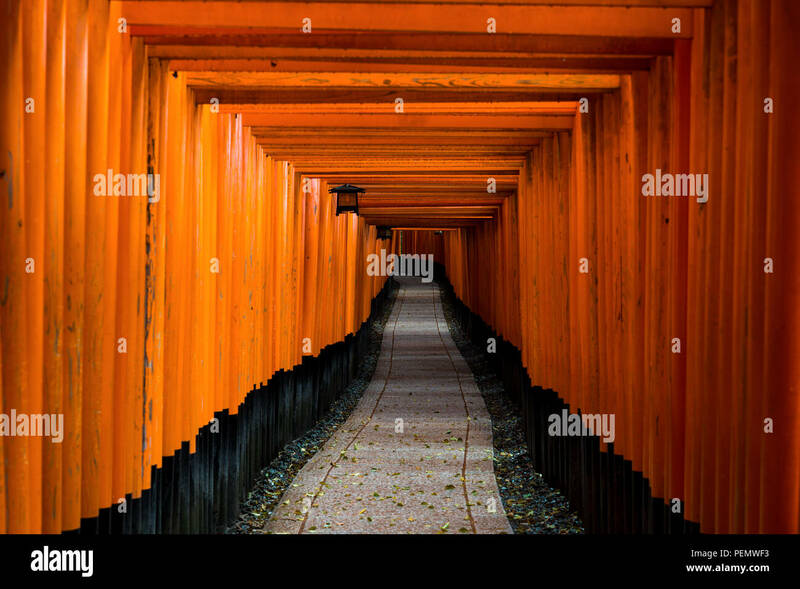 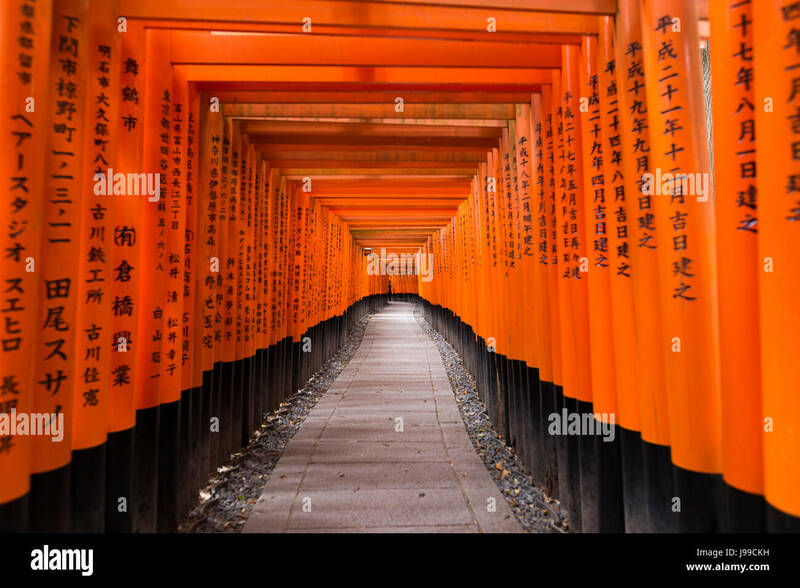 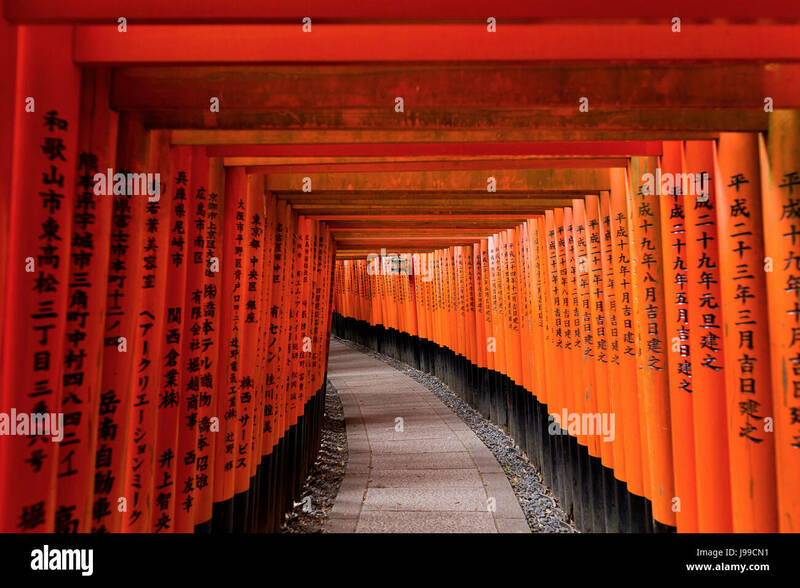 The gates in the Fushimi Inari shrine. 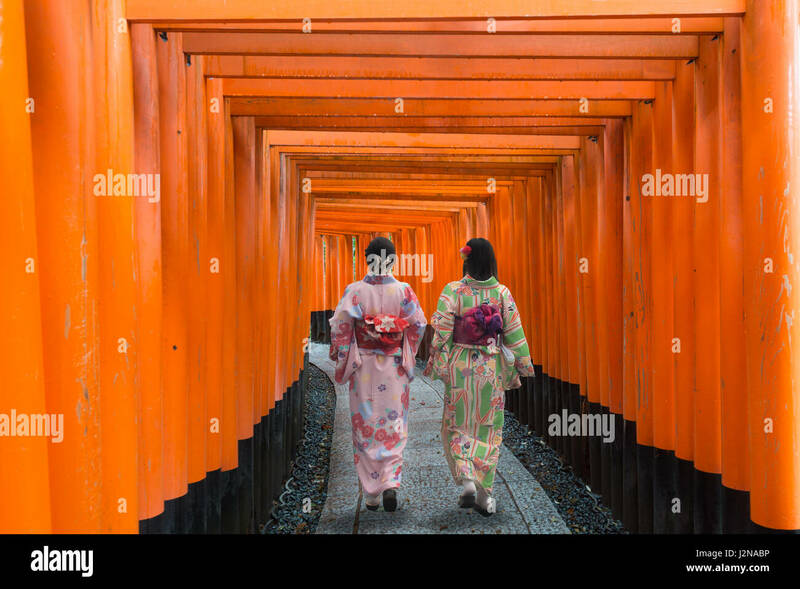 Two geishas among red wooden Tori Gate at Fushimi Inari Shrine in Kyoto, Japan. 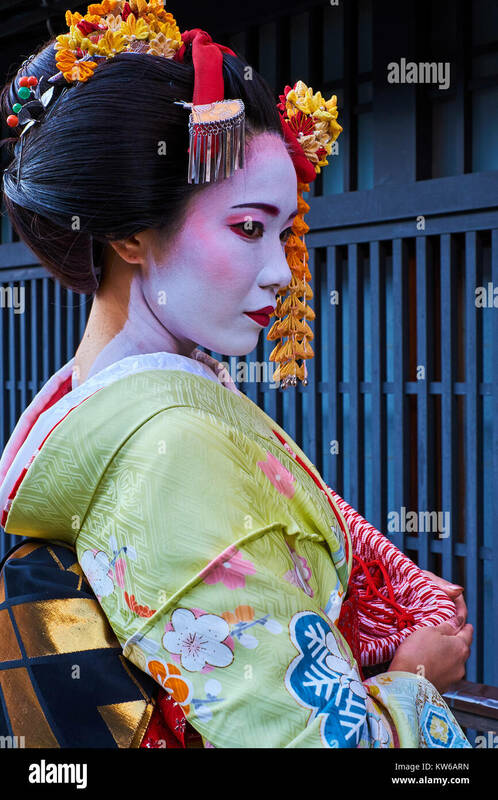 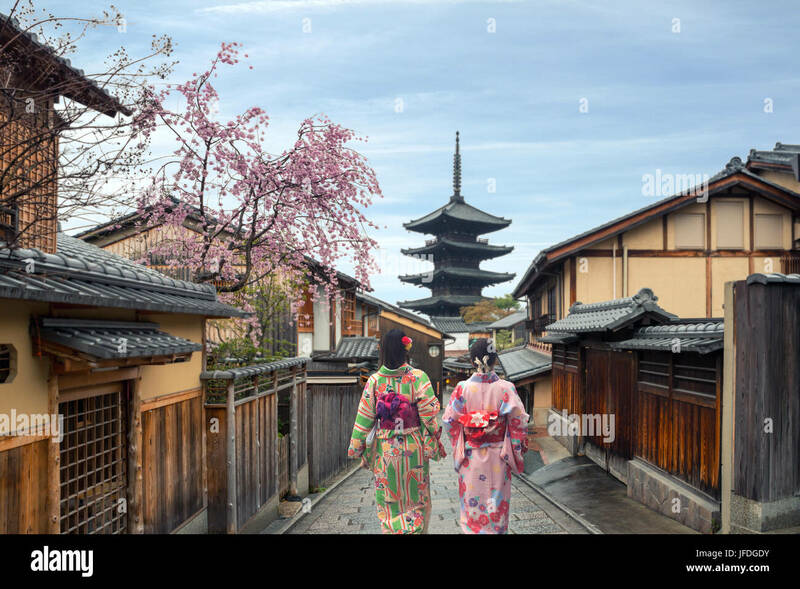 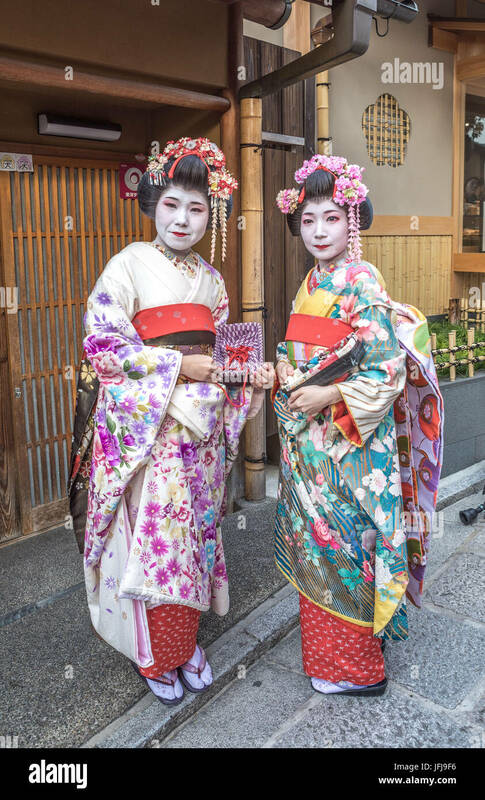 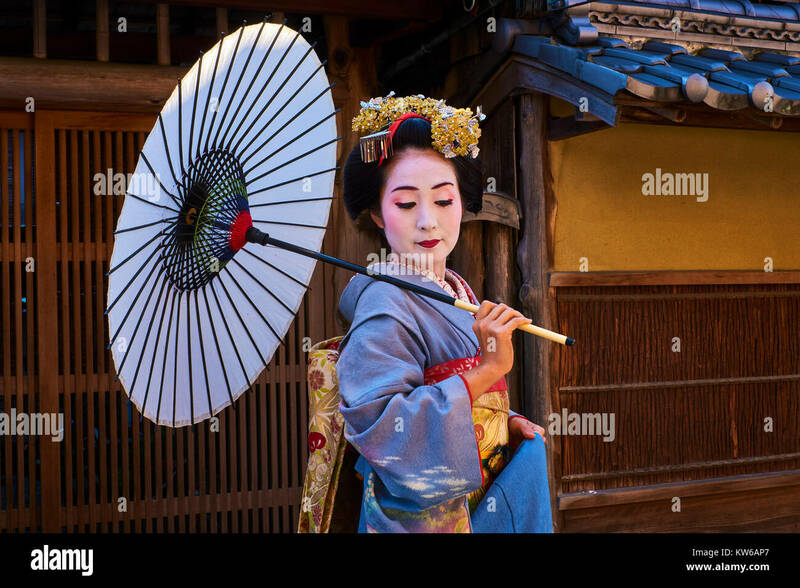 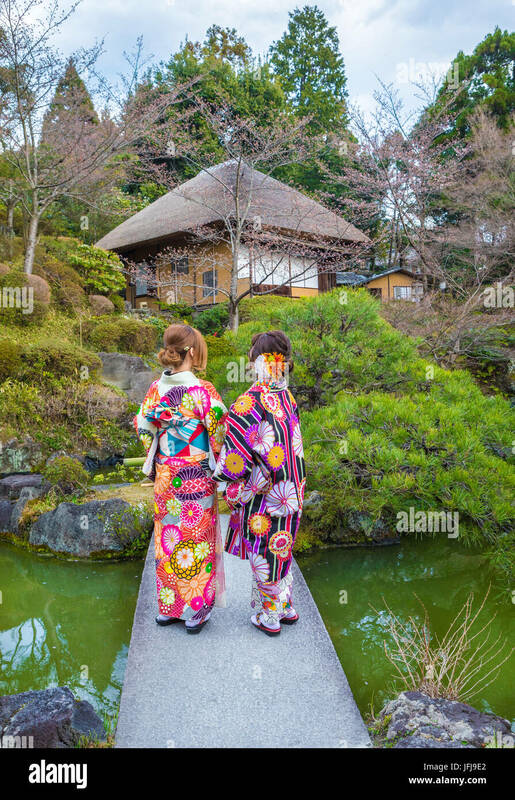 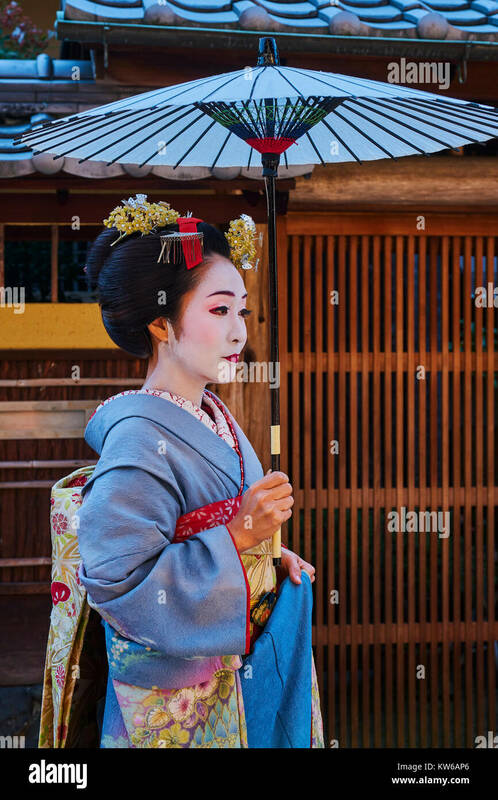 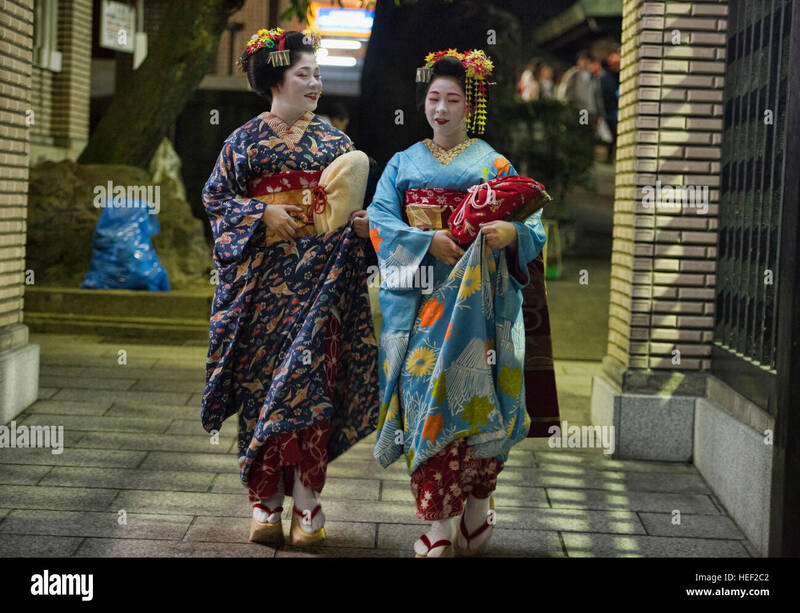 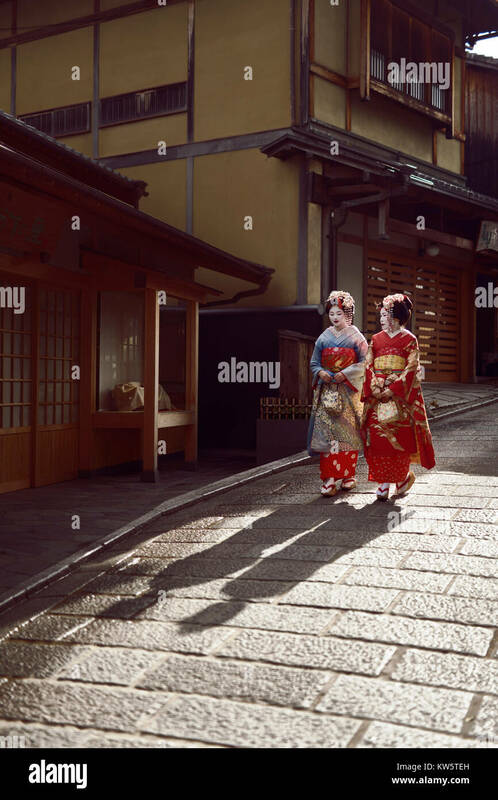 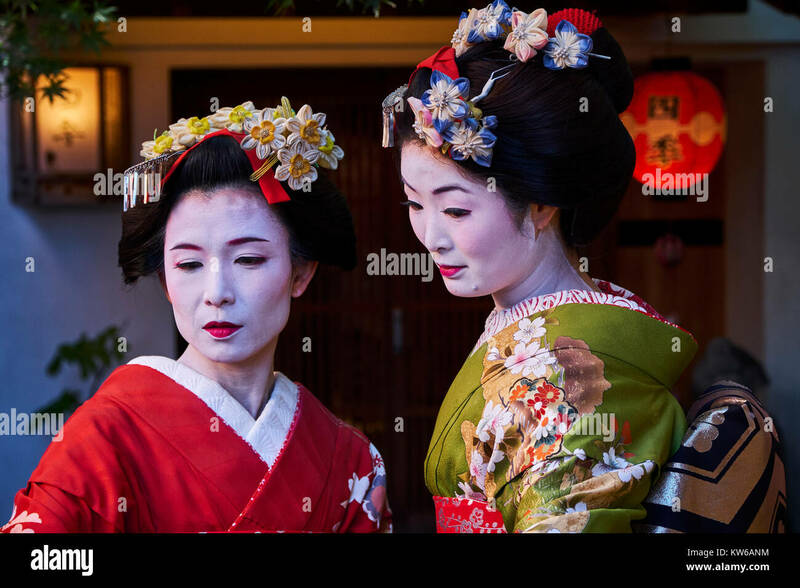 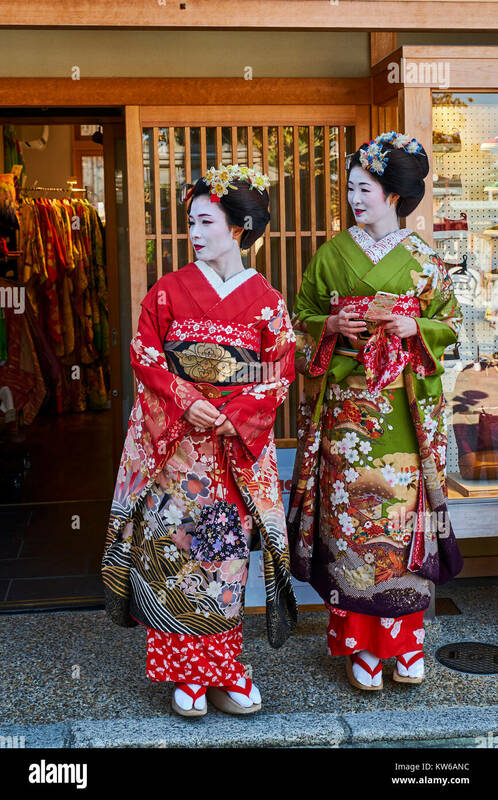 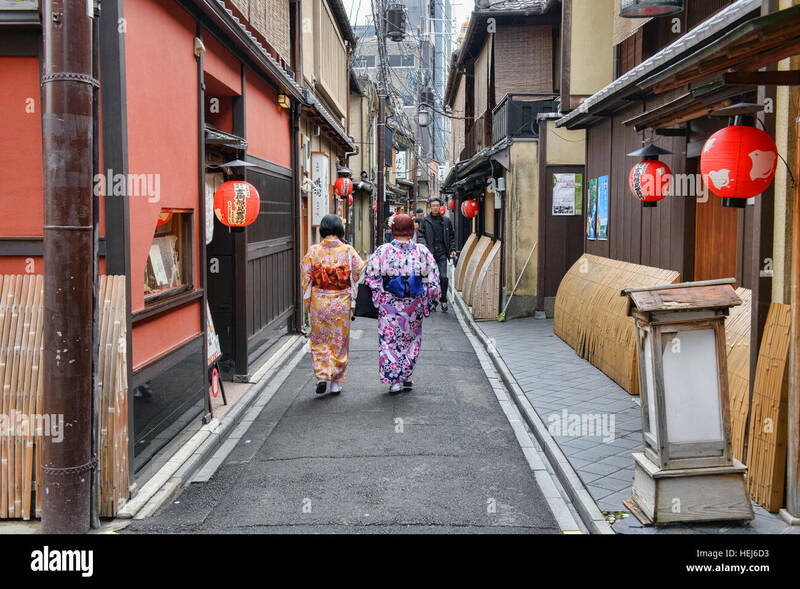 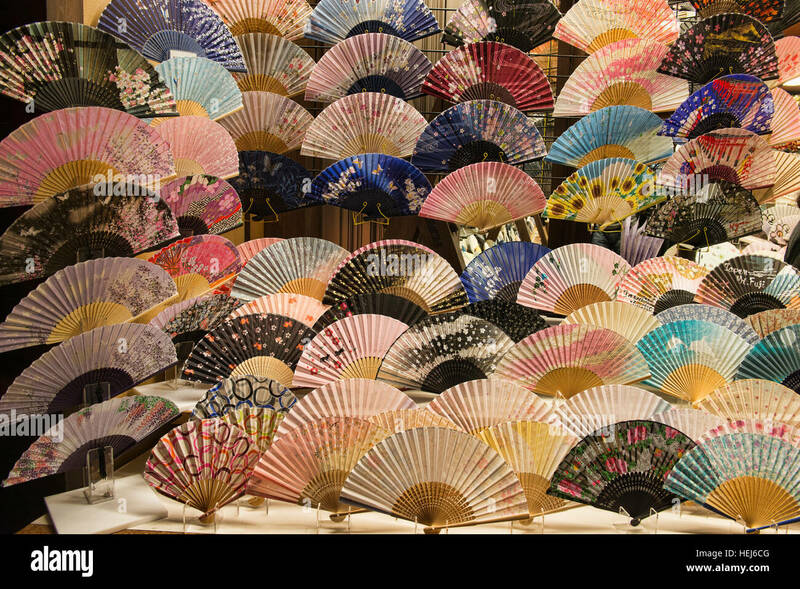 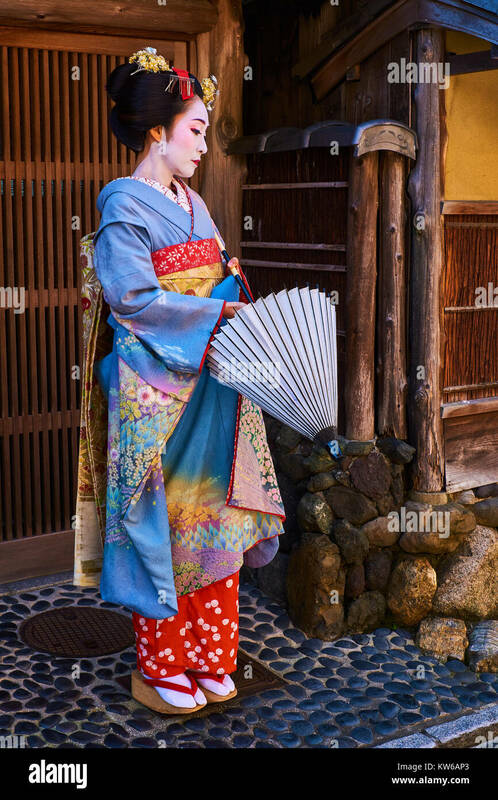 Women wearing traditional japanese kimono in Kyoto, Japan. 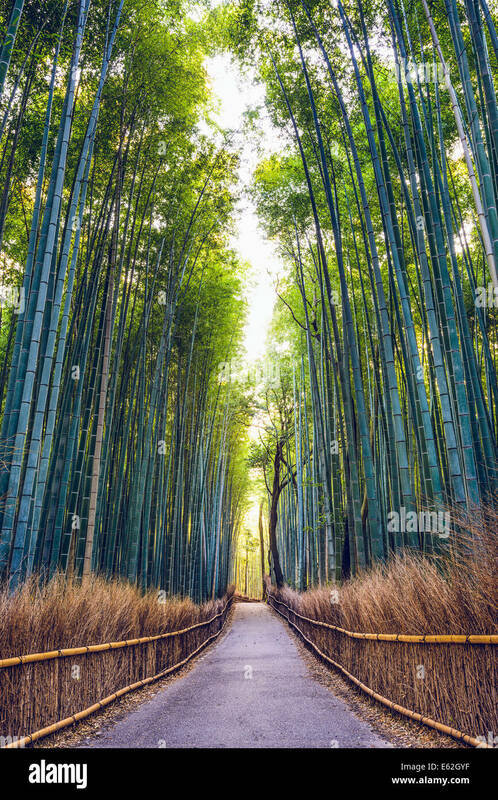 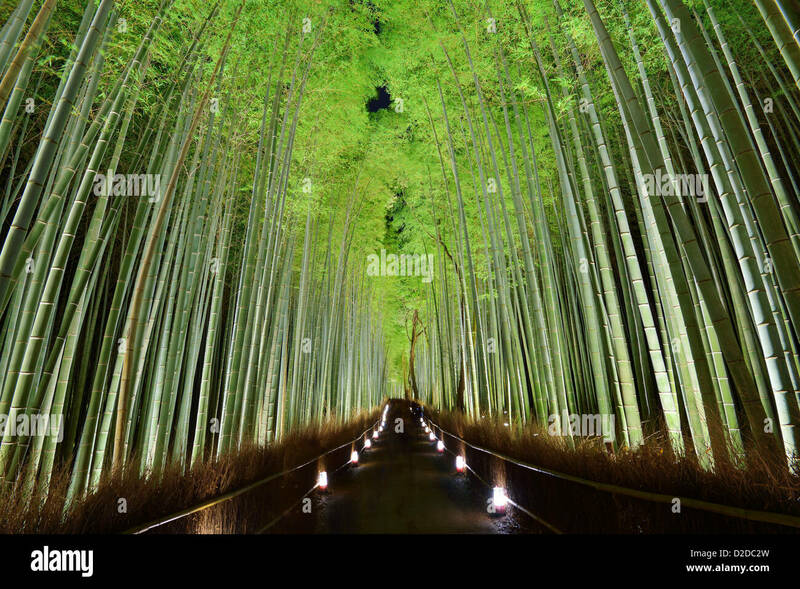 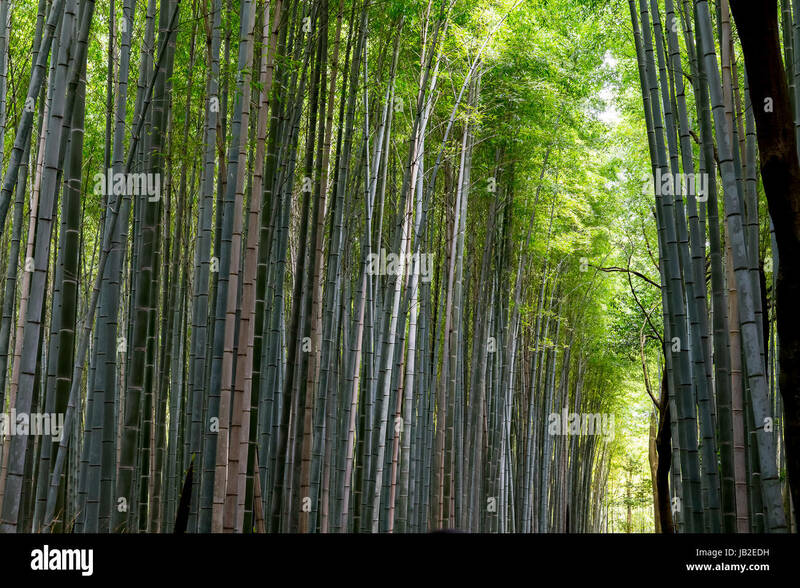 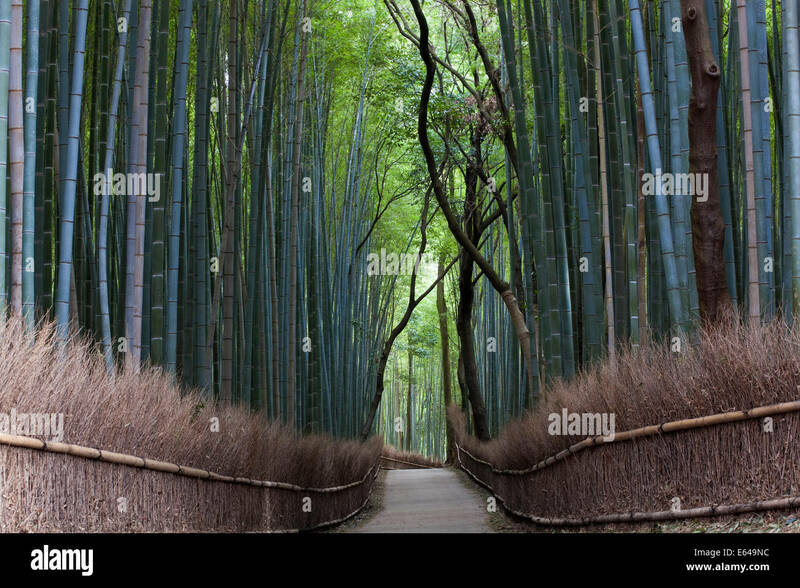 Bamboo forest of Kyoto, Japan. 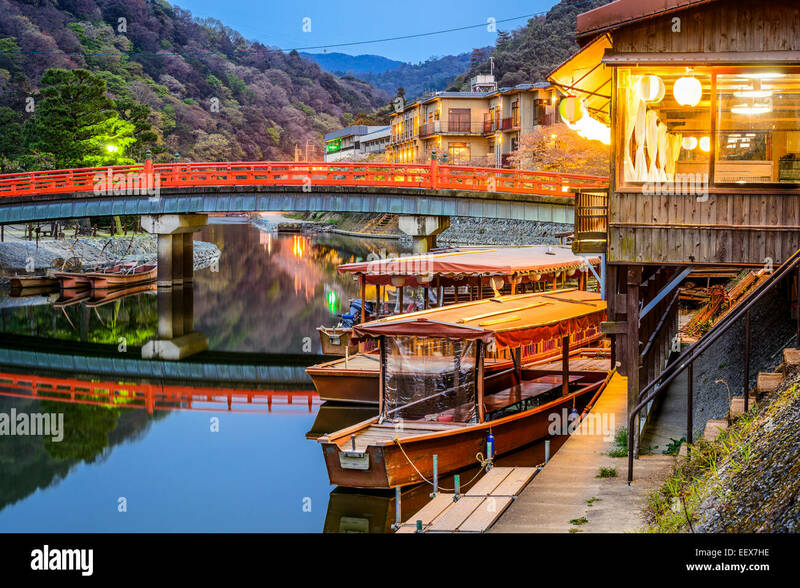 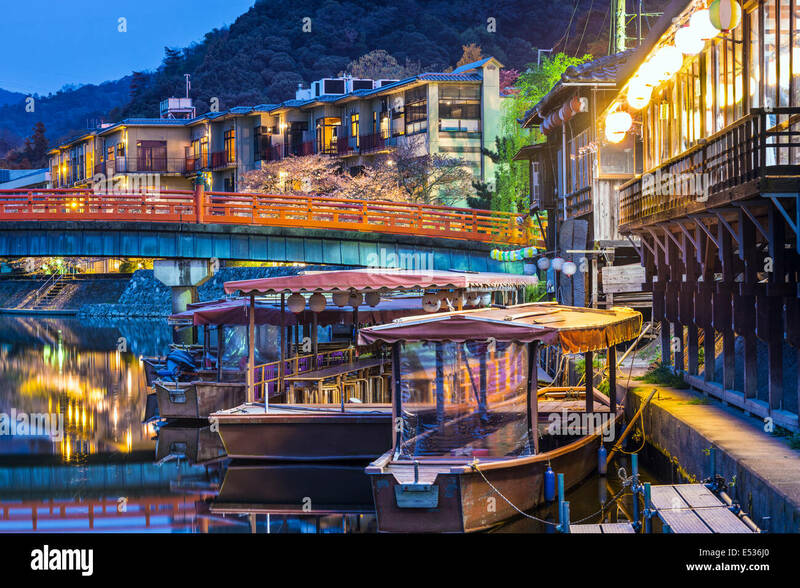 Uji, Kyoto Prefecture, Japan on the Ujigawa River. 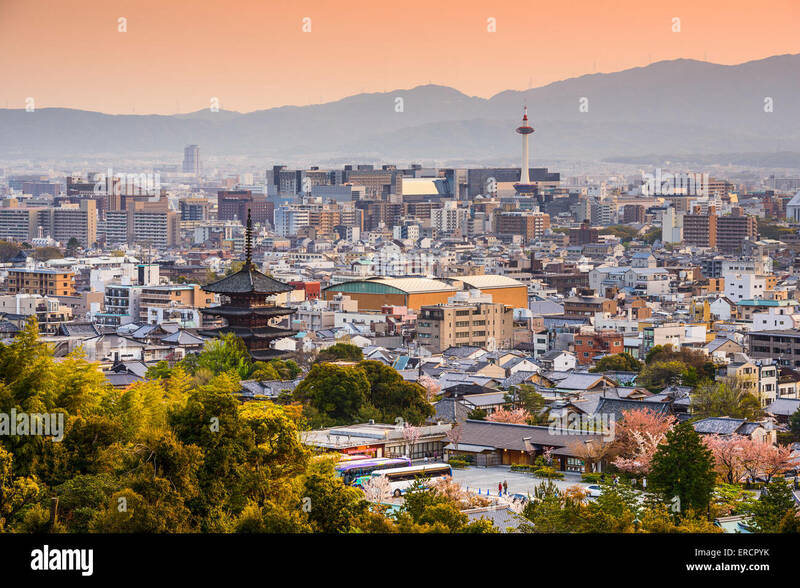 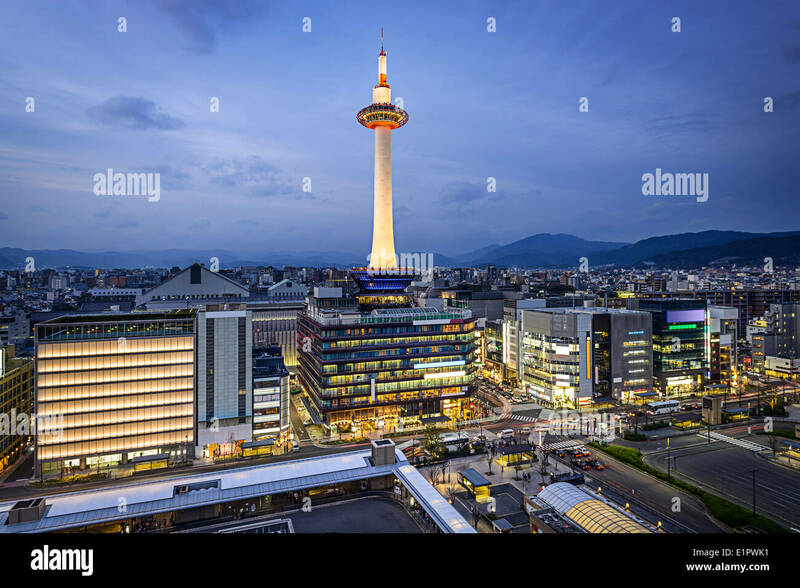 Kyoto, Japan city skyline at dusk. 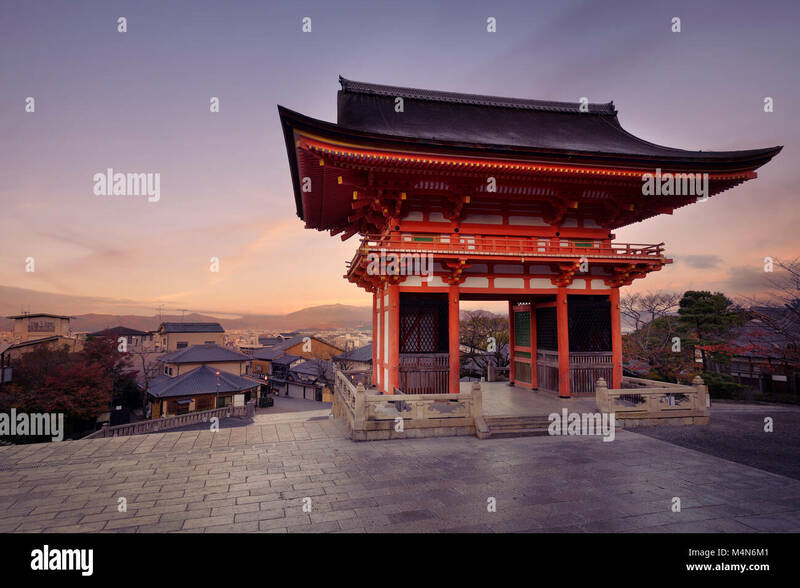 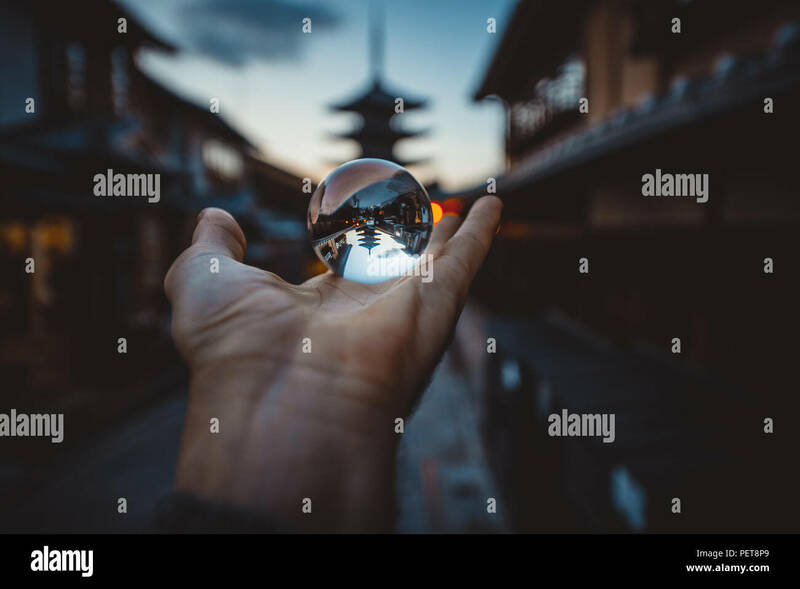 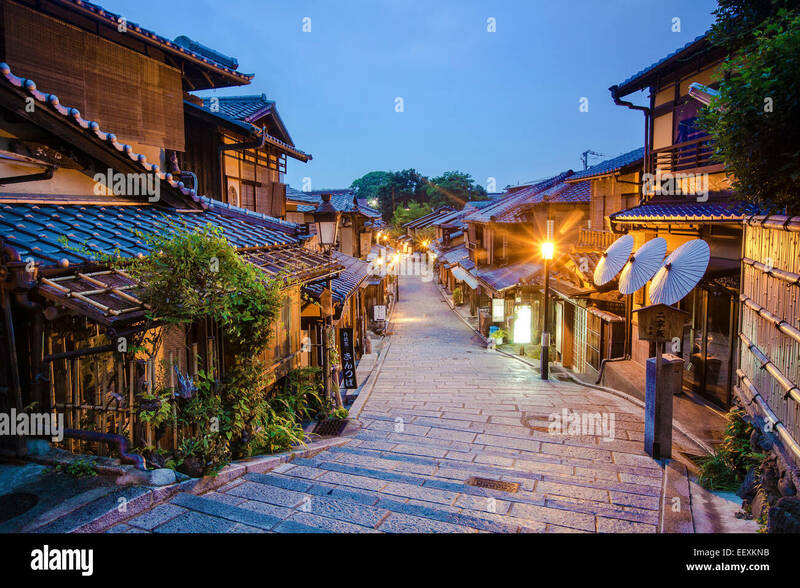 Kyoto, Japan at Kiyomizu Temple in the morning. 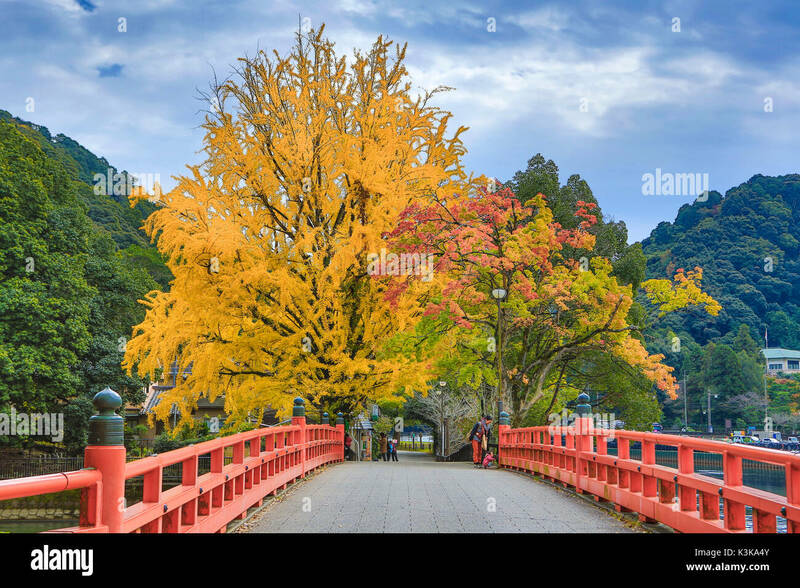 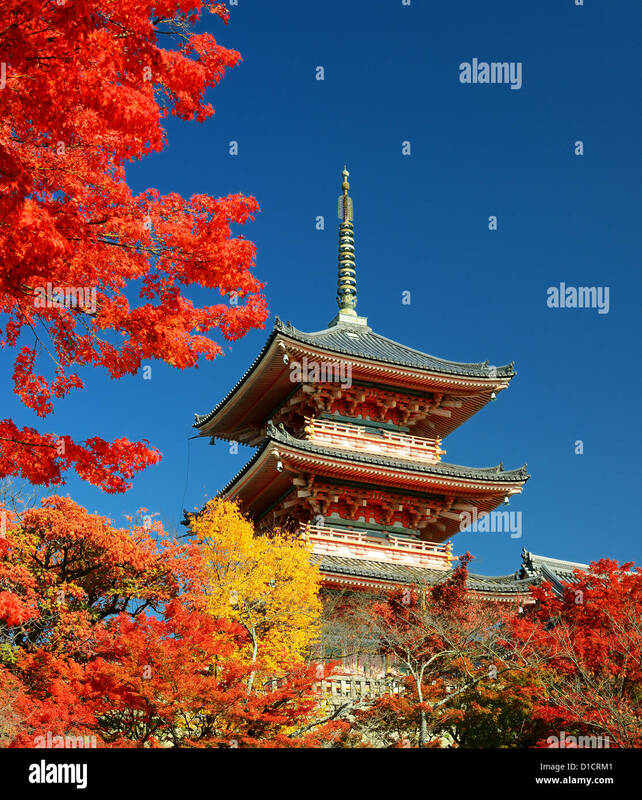 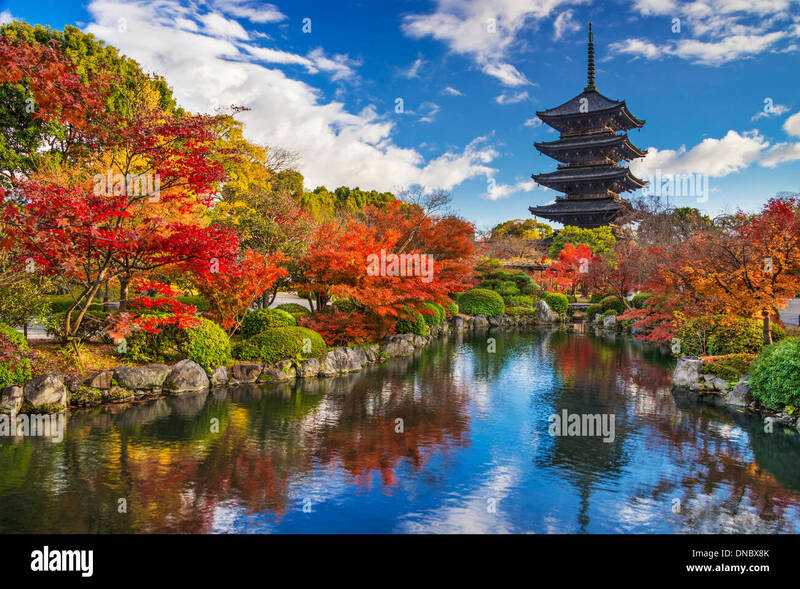 To-ji Pagoda in Kyoto, Japan during the fall season. 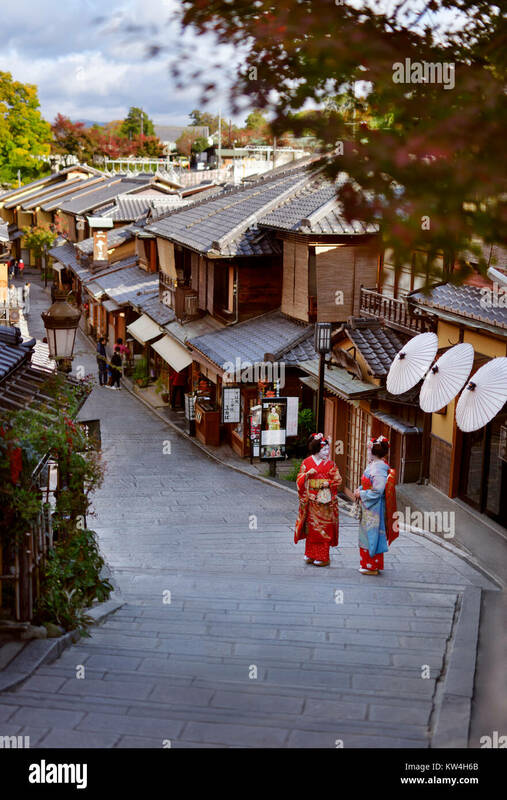 Kyoto, Japan. 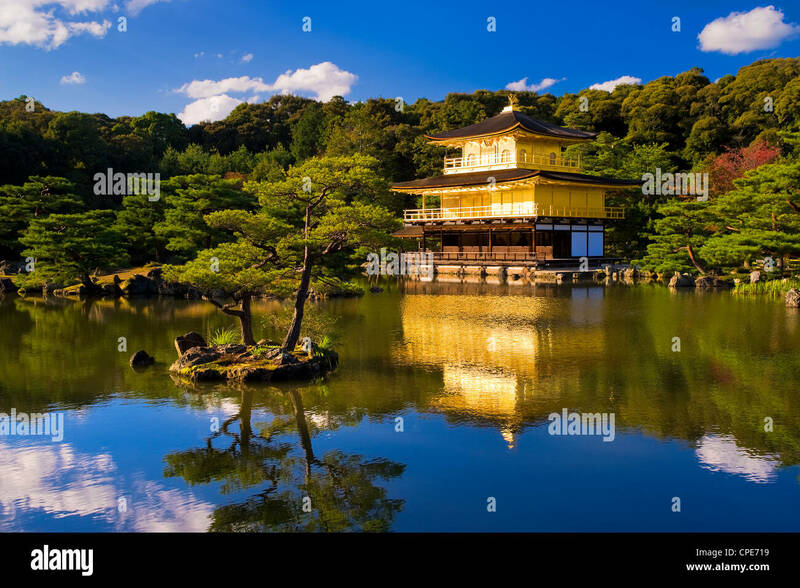 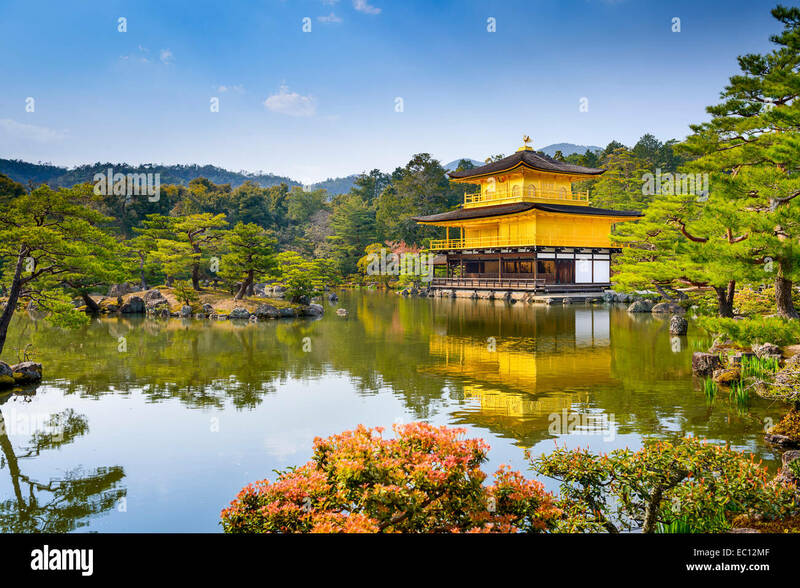 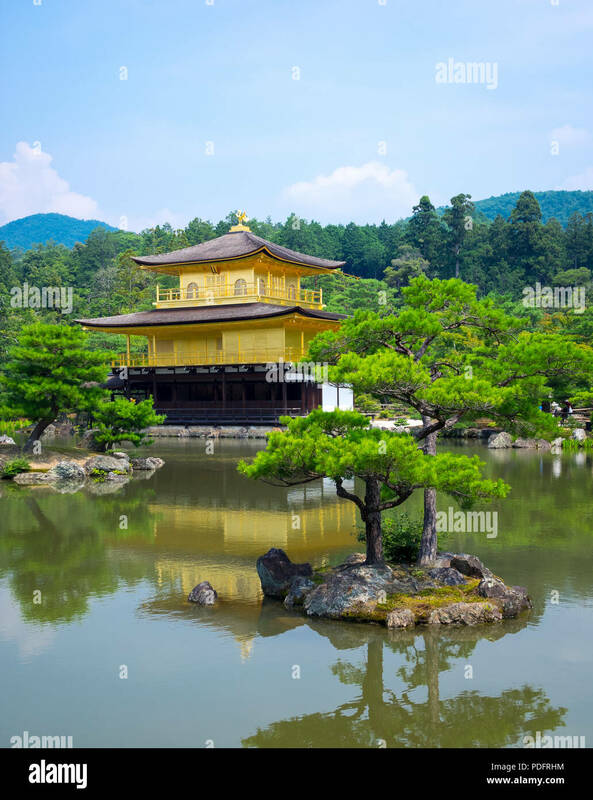 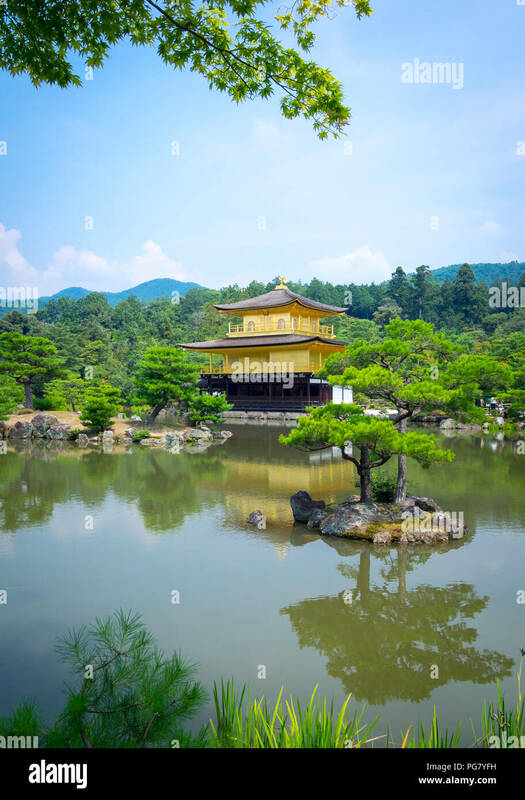 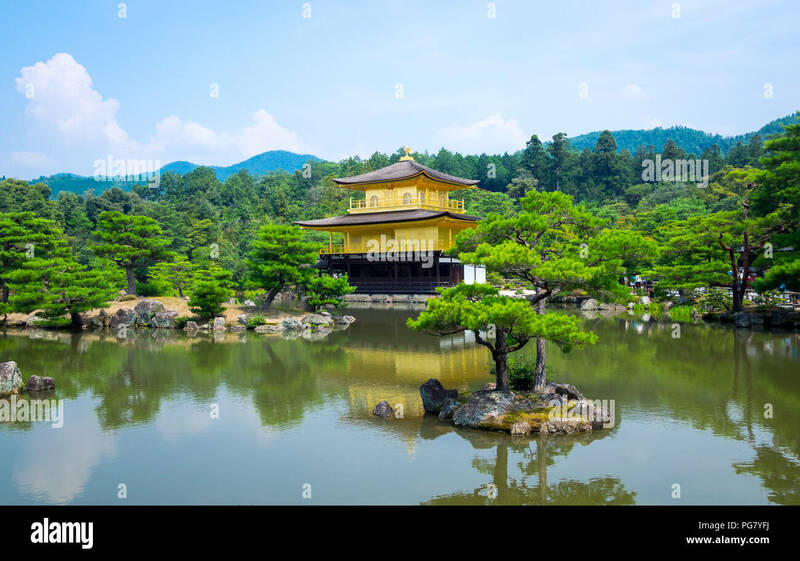 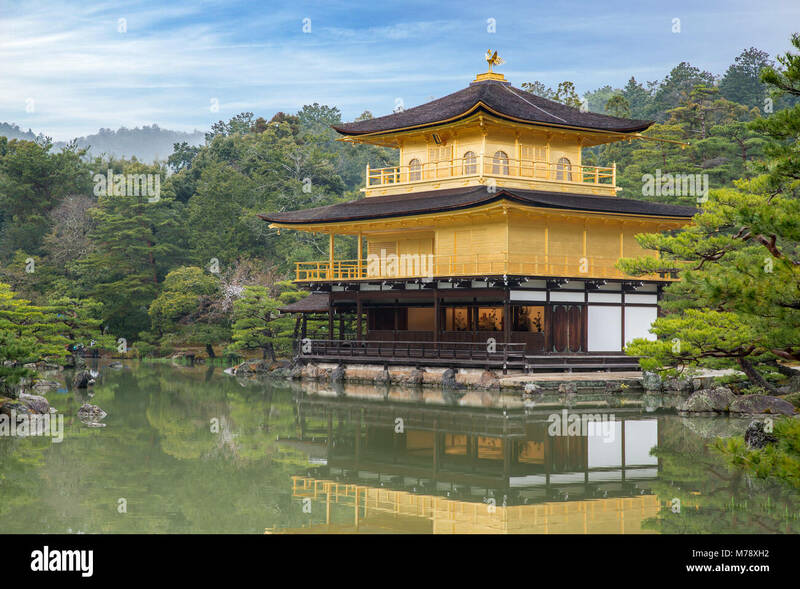 Golden Pavilion at Kinkakuji Temple. 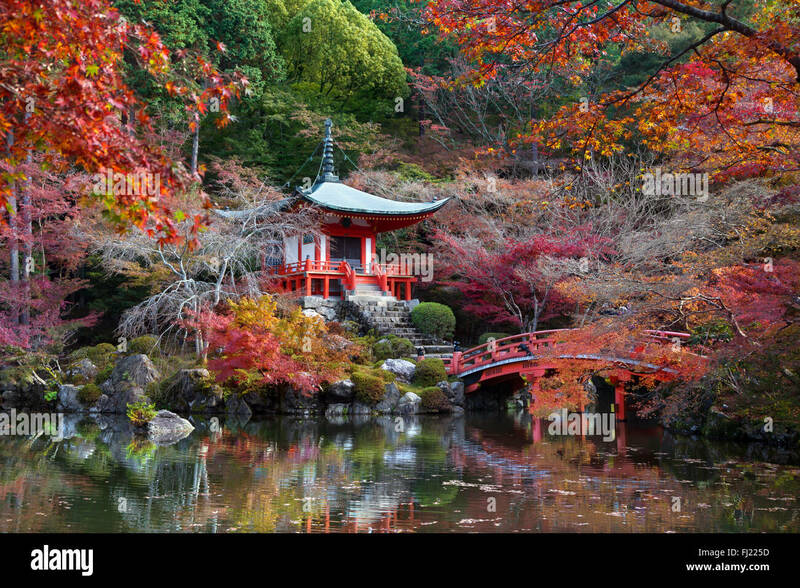 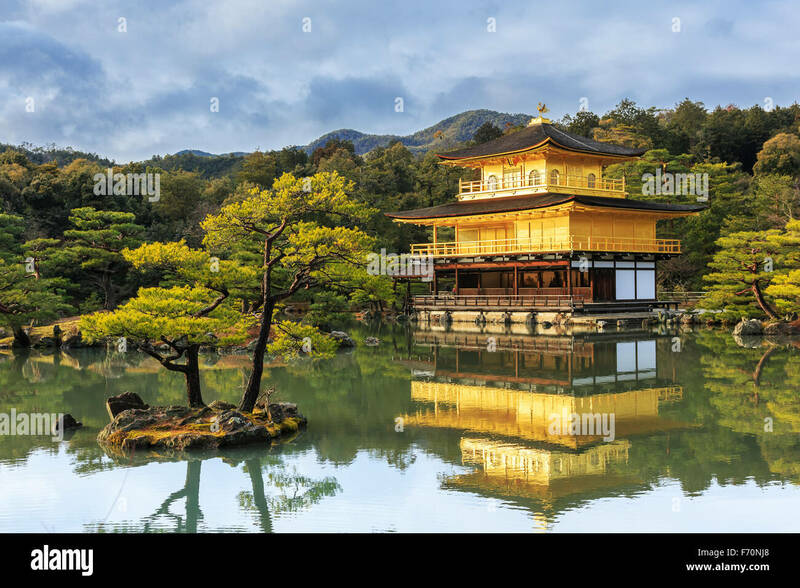 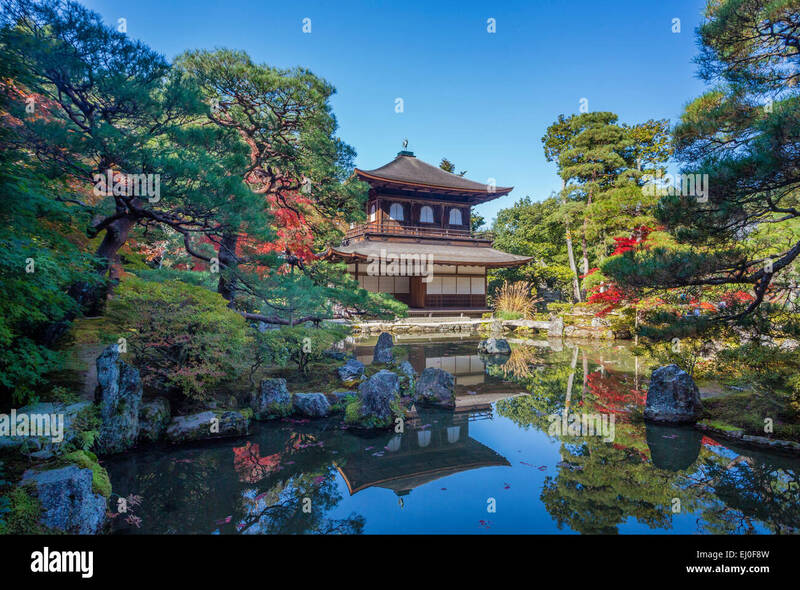 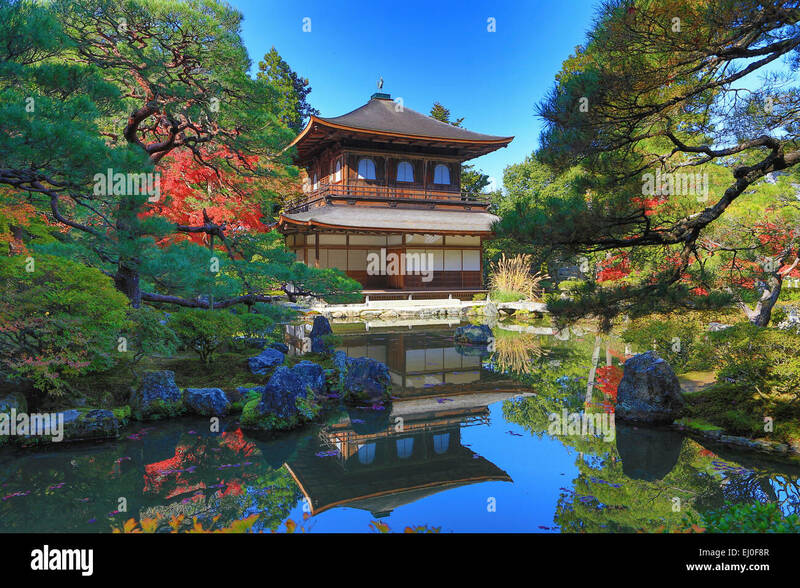 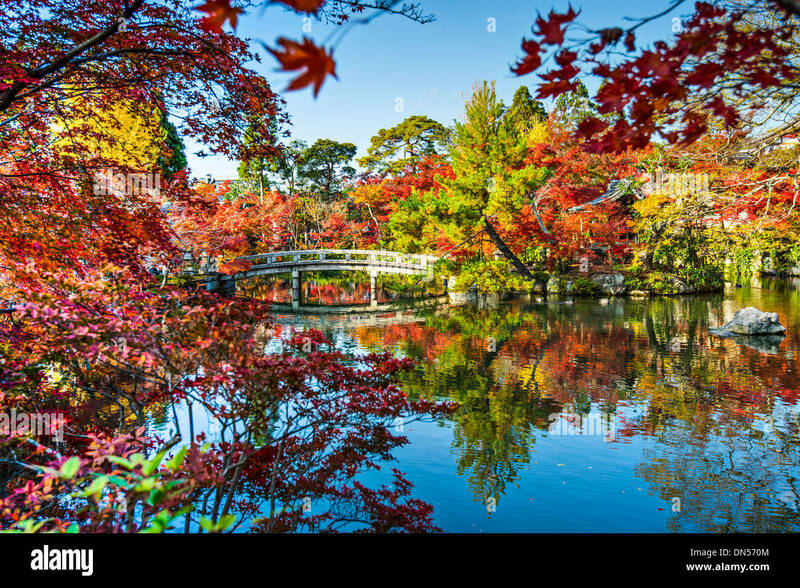 Ginkaku-ji Silver Pavilion during the autumn season in Kyoto, Japan. 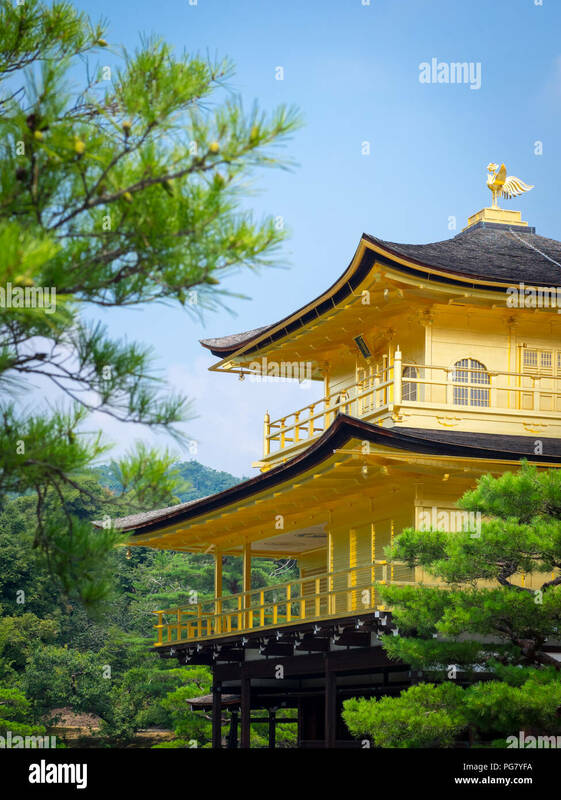 Kyoto, Japan at Kinkaku-ji Temple of the Golden Pavilion. 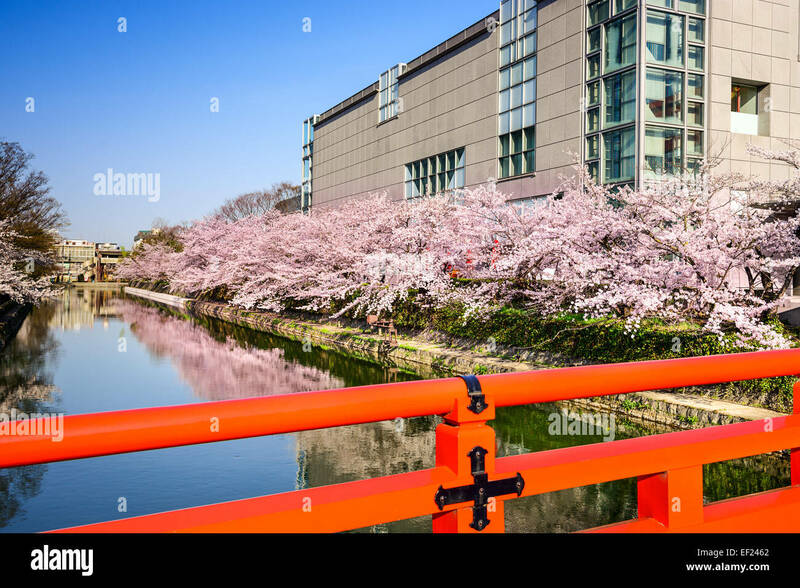 Kyoto, Japan in the springtime at Okazaki Canal. 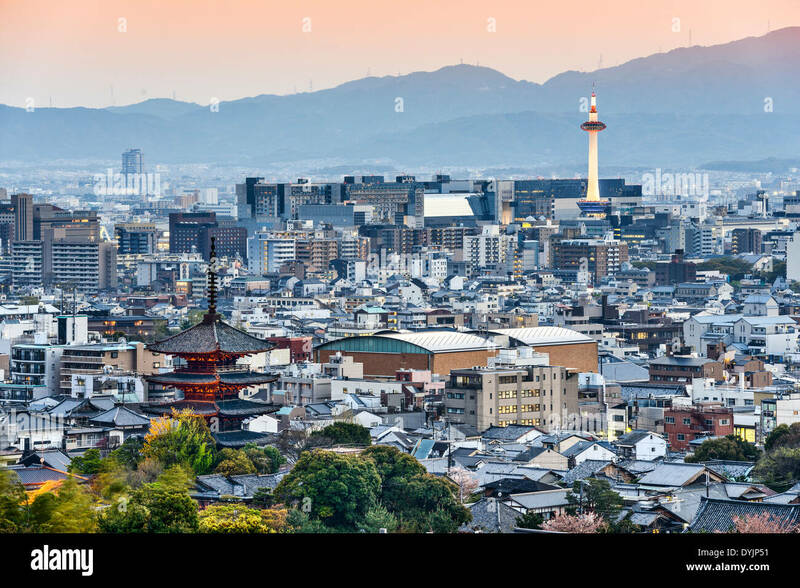 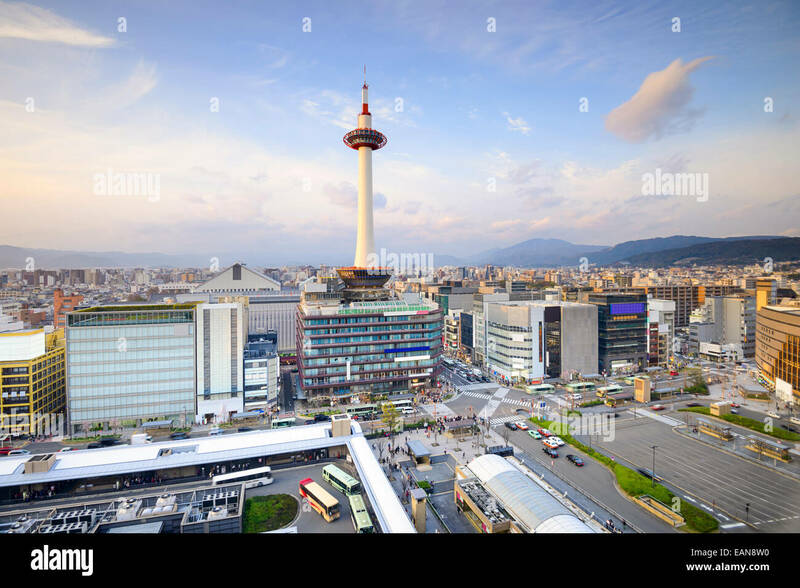 Kyoto, Japan downtown city skyline. 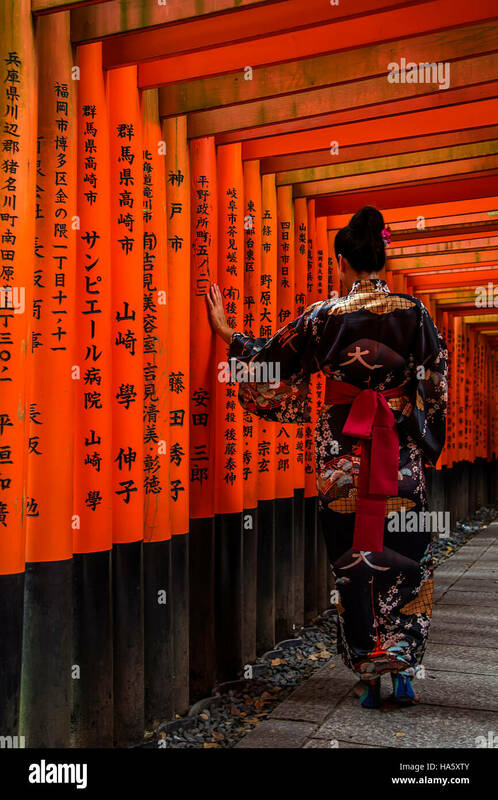 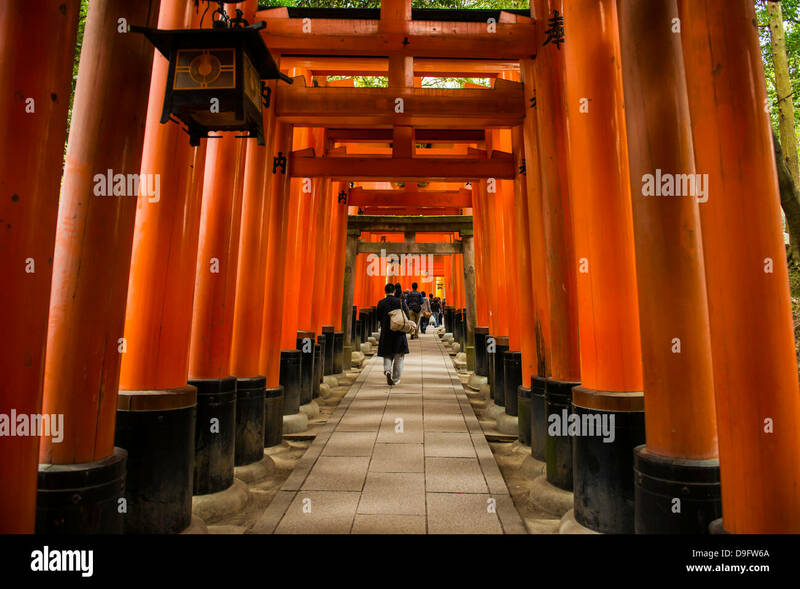 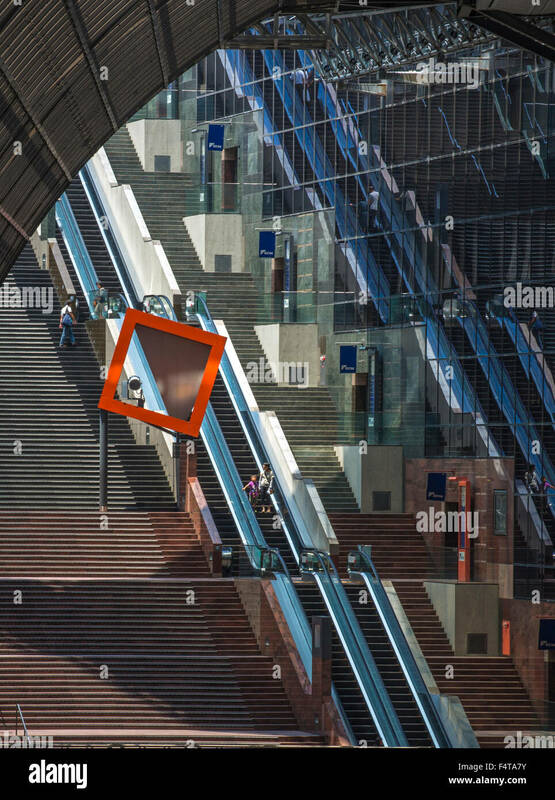 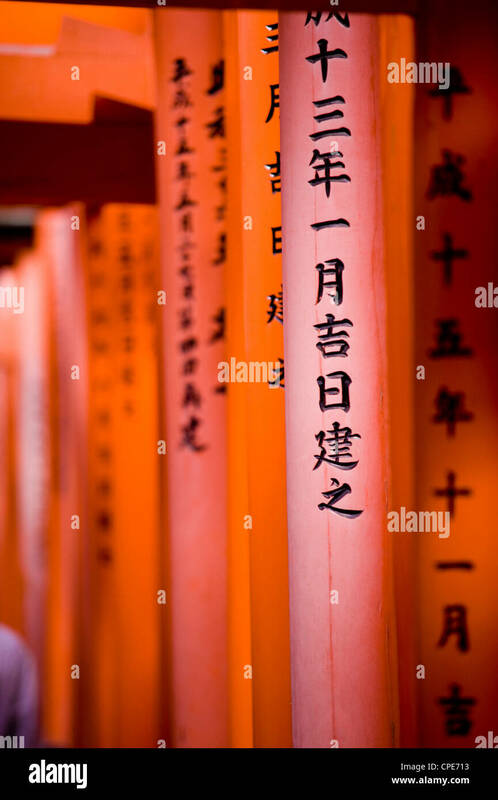 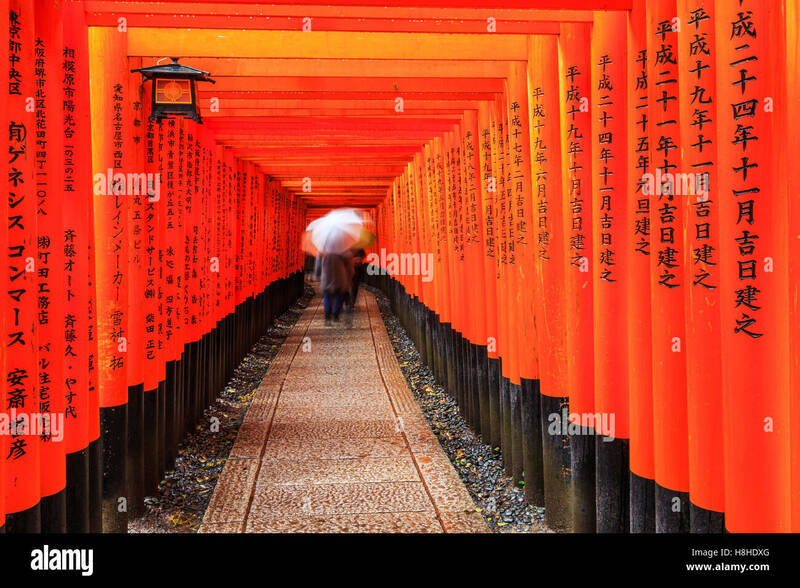 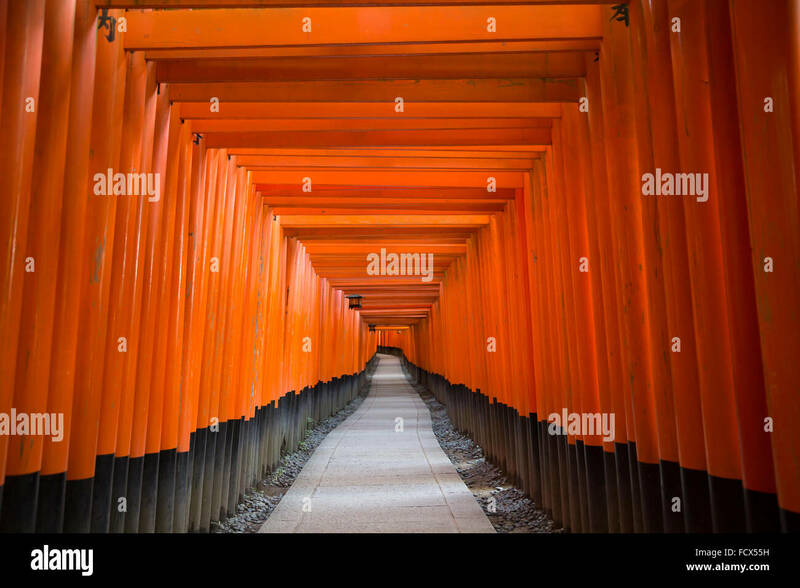 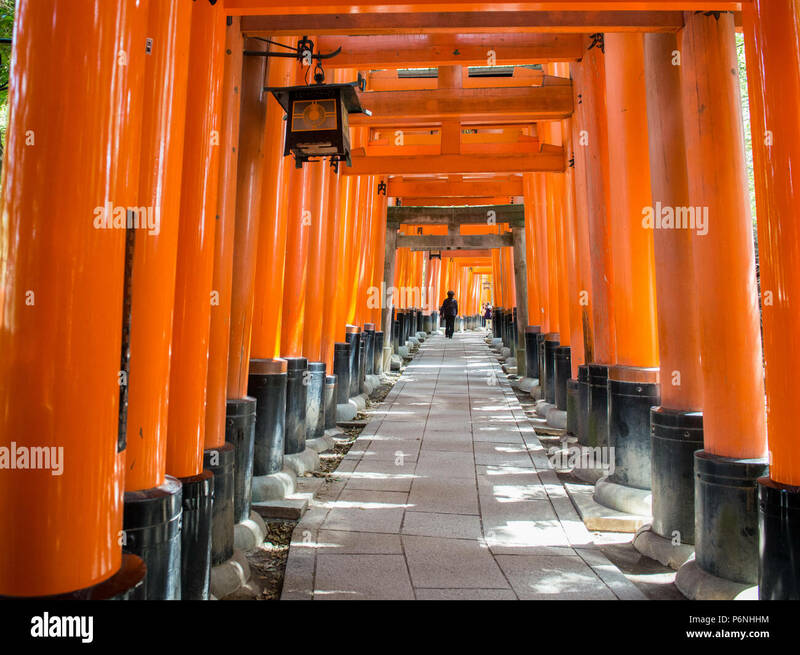 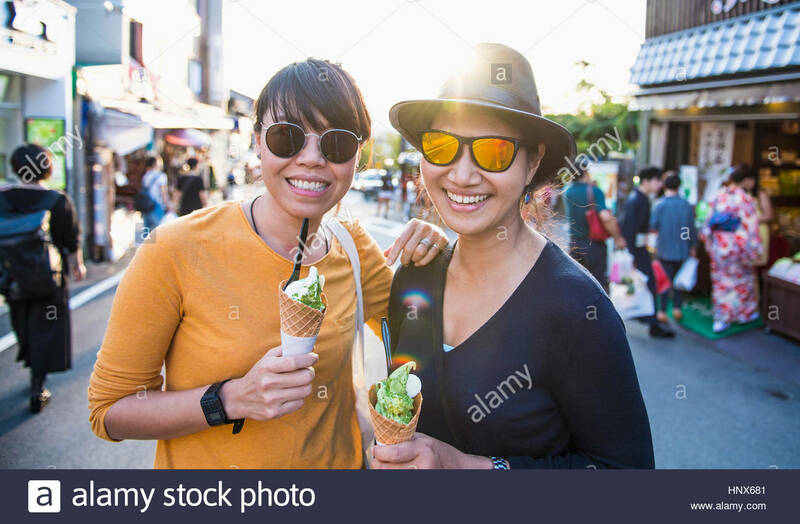 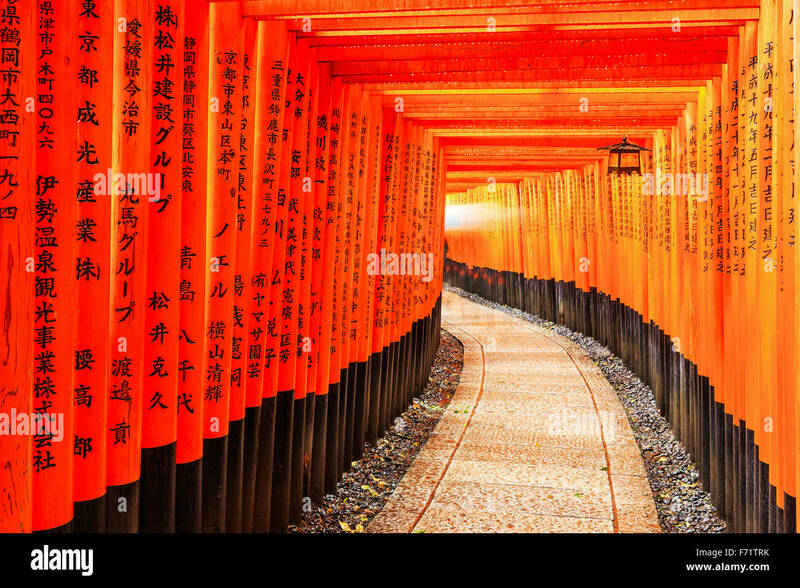 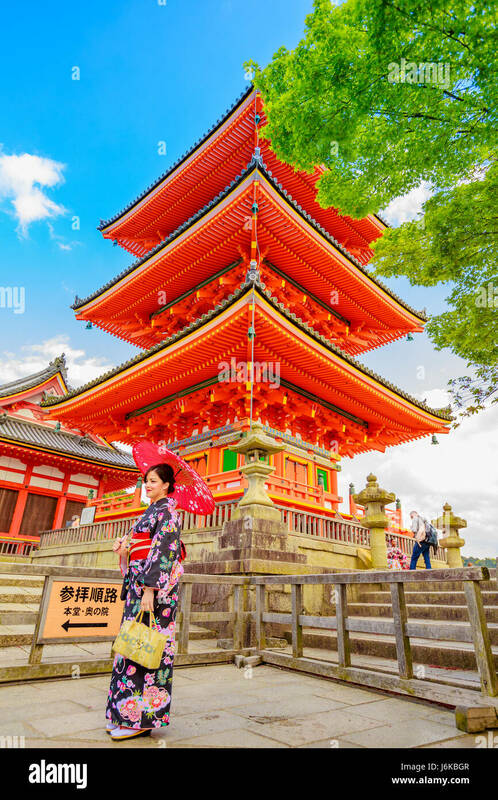 Japanese tourists explore Fushimi Inari Taisha in Kyoto, Japan. 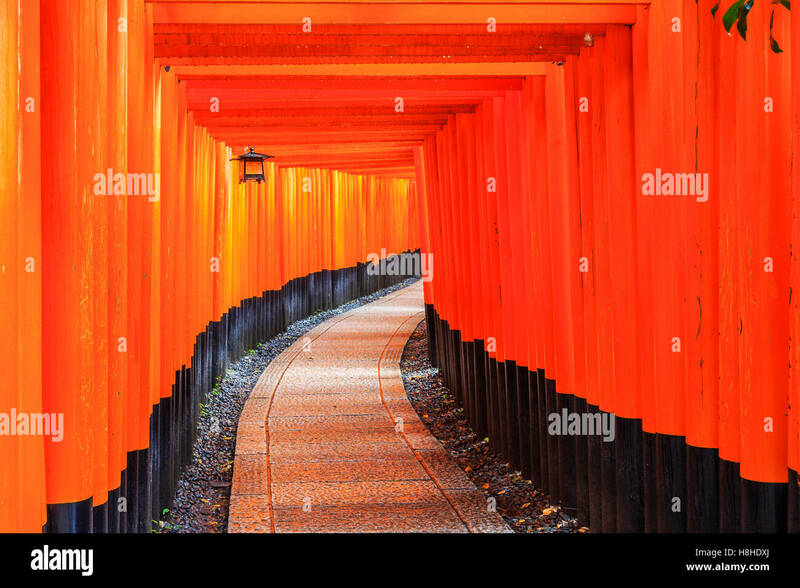 Along the main path there are more than 10000 torii gates. 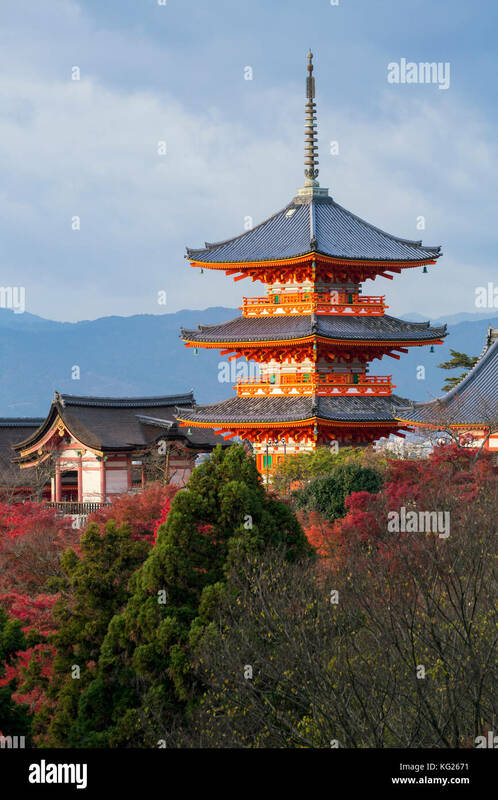 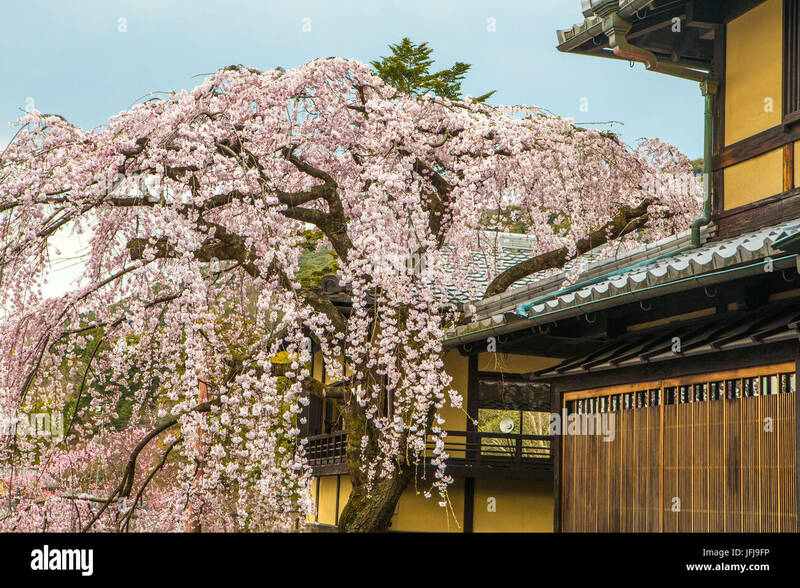 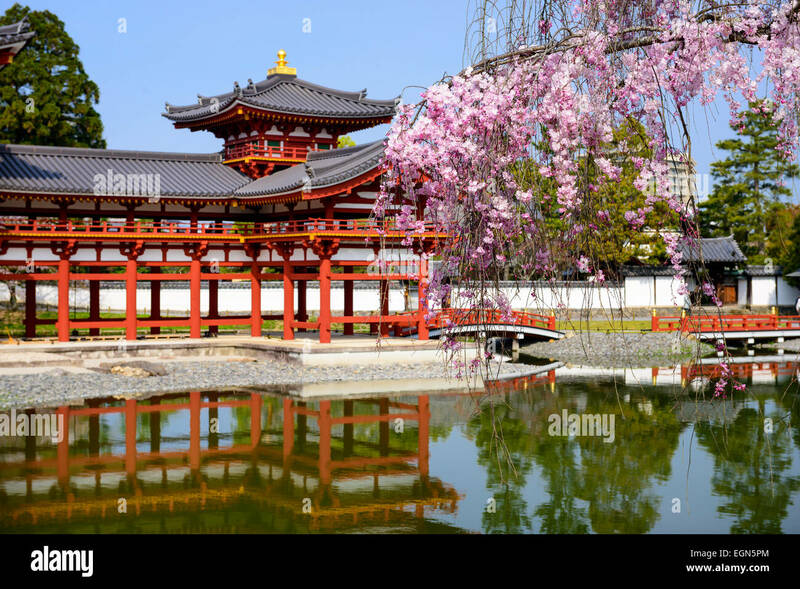 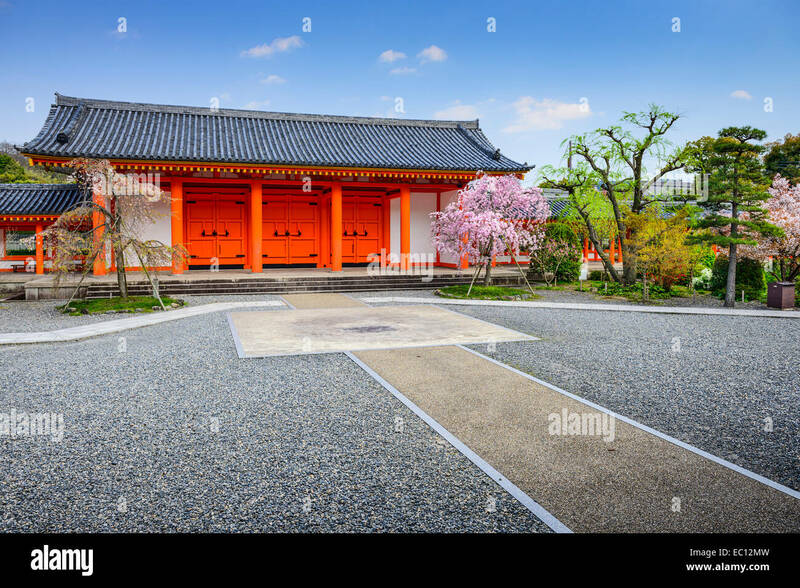 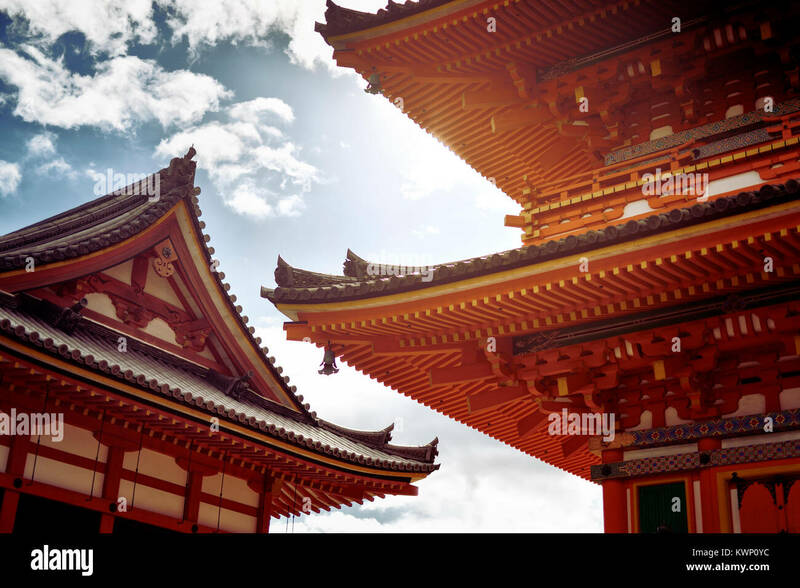 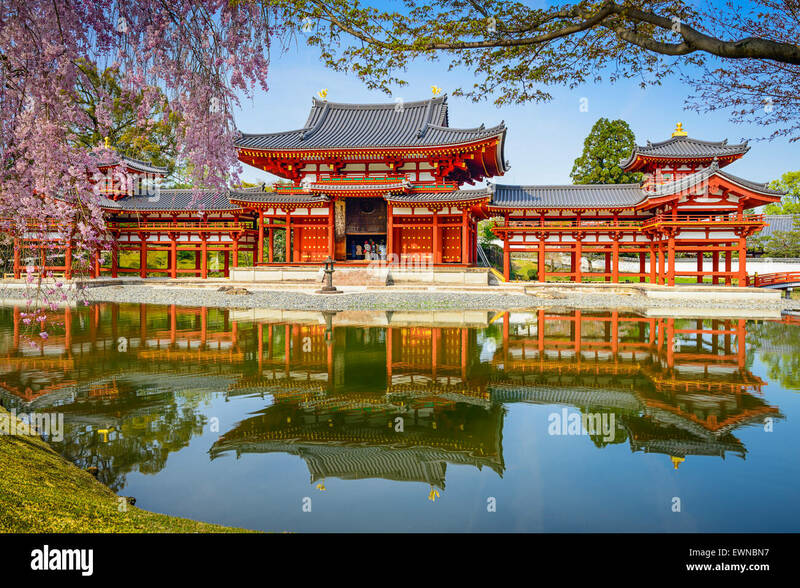 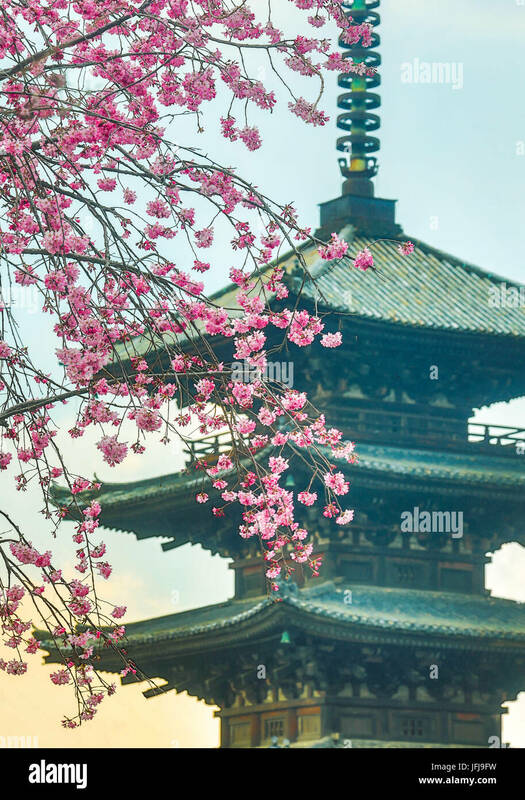 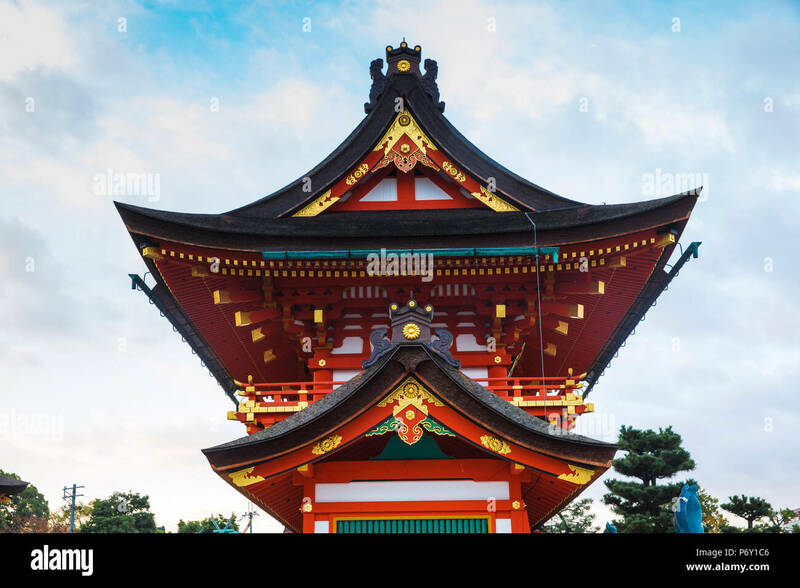 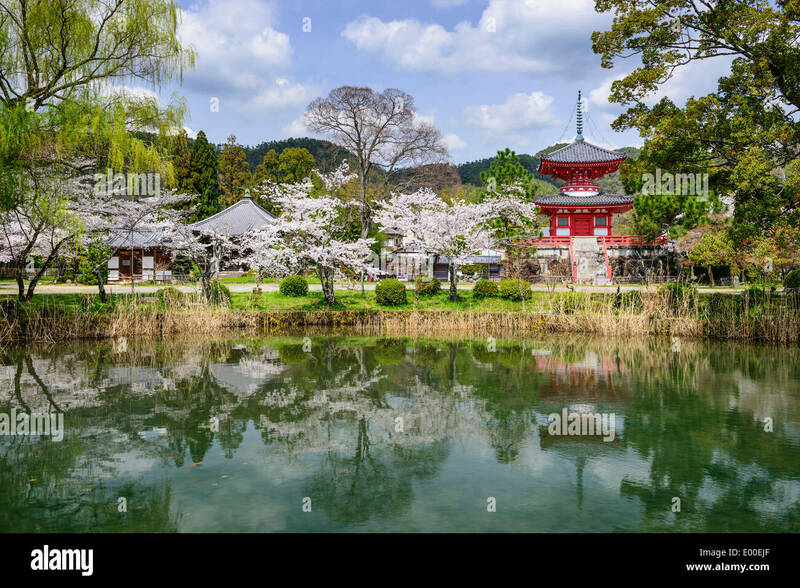 The Hall of Writings (Sutra Hall) and three storey pagoda in the Kiyomizu-dera temple complex, Kyoto, Japan. 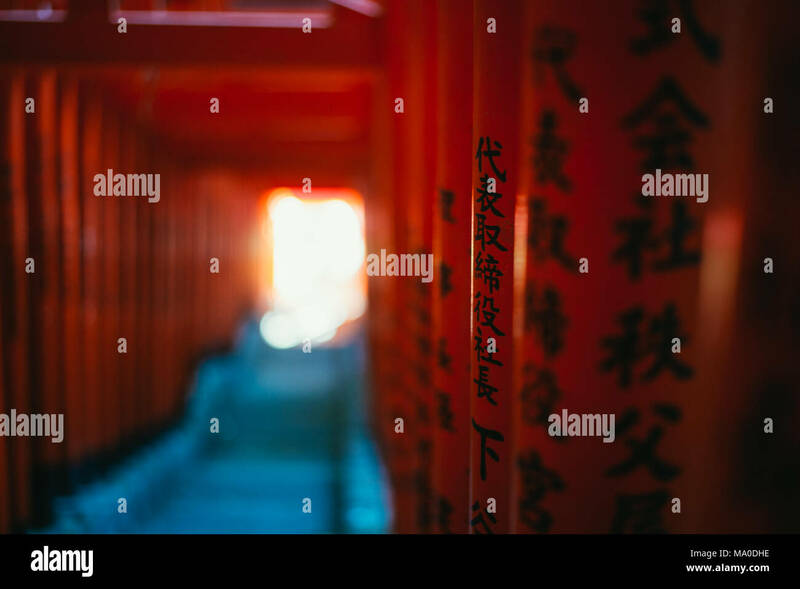 Red Tori Gate at Fushimi Inari Shrine in Kyoto, Japan. 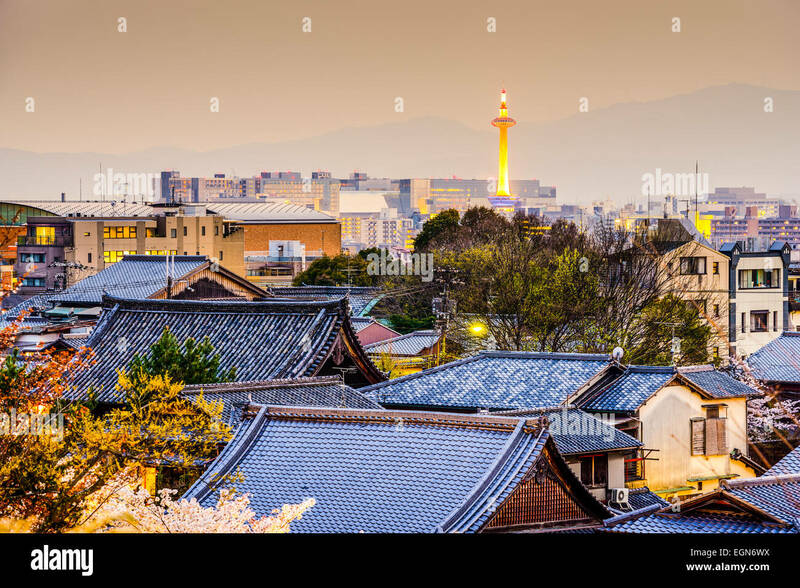 Kyoto, Japan skyline at dusk.